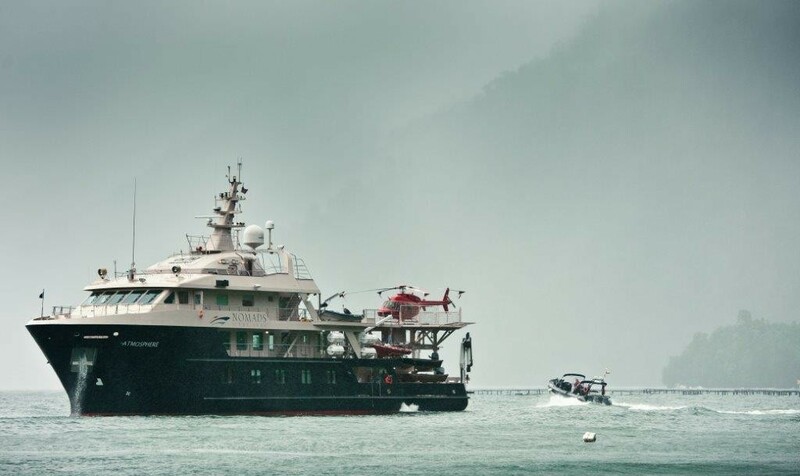 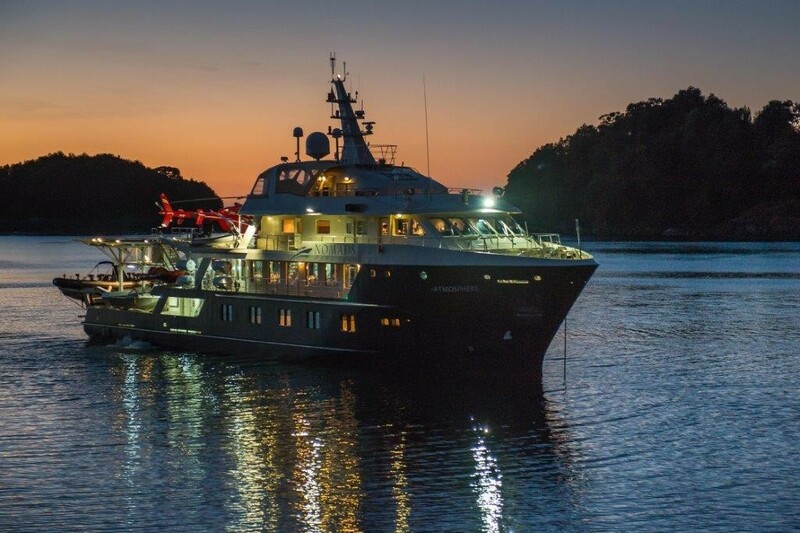 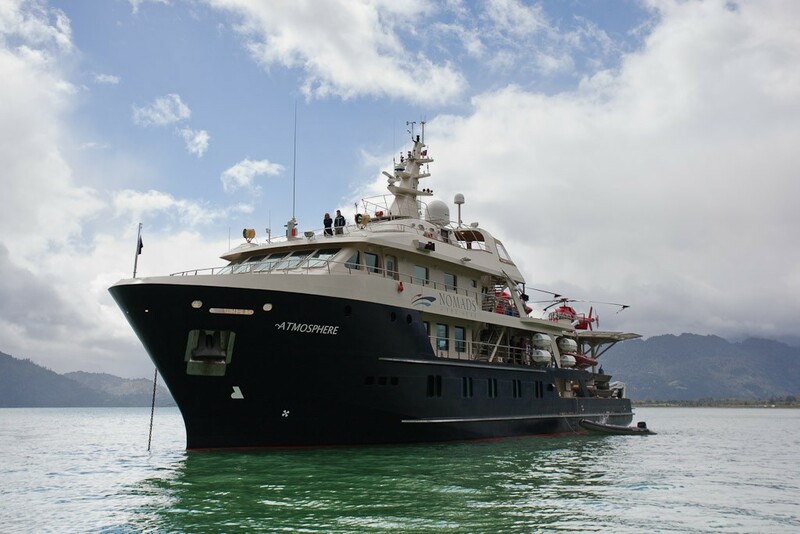 Expedition motor yacht ATMOSPHERE is a 45,70m (149' 11") go anywhere explorer style steel displacement charter yacht which was built by Asenav in 2006 and features interior design work by Enrique Concha B & Diseñadores Asociados. 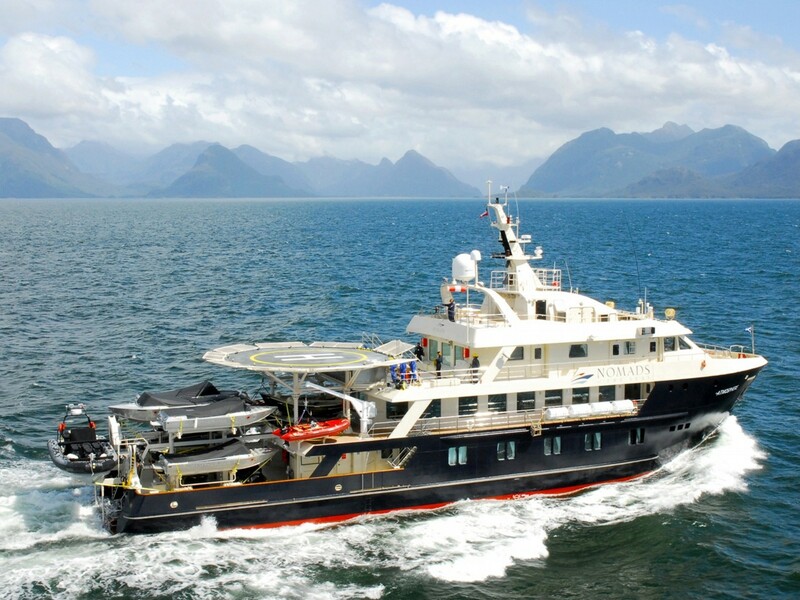 A stable long range yacht, ATMOSPHERE has accommodation for up to 28 guests in 14 cabins as well as stabalisers, air-conditioning, a Spa Pool and a large array of water toys. 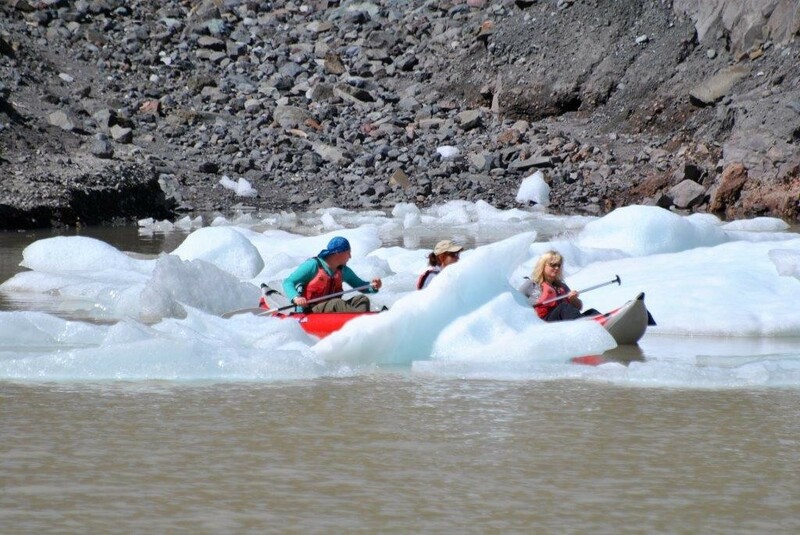 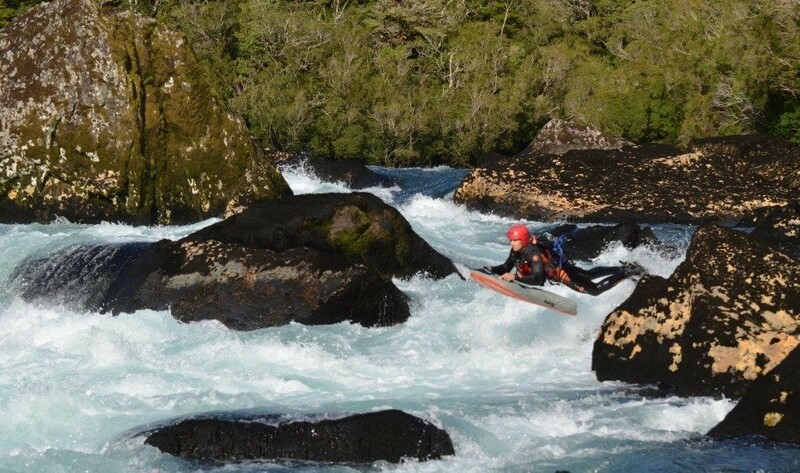 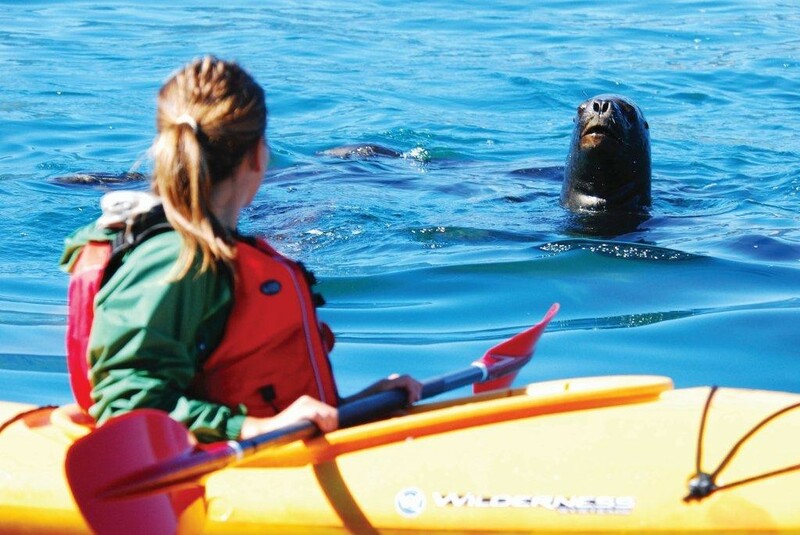 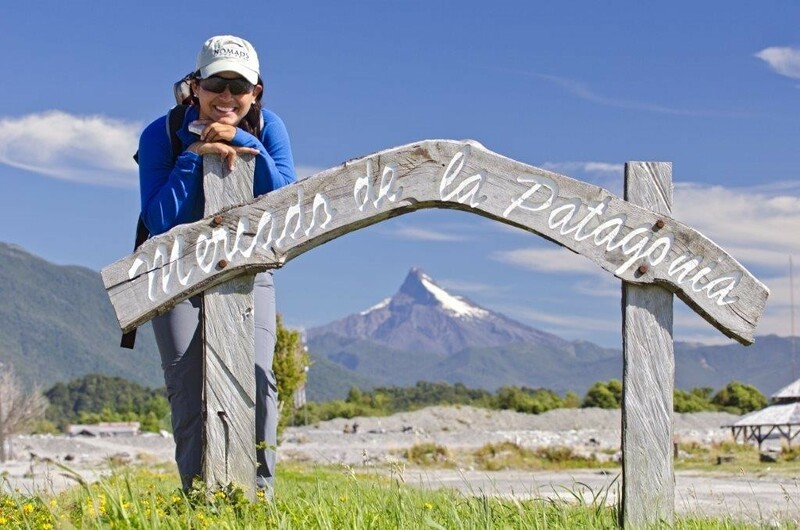 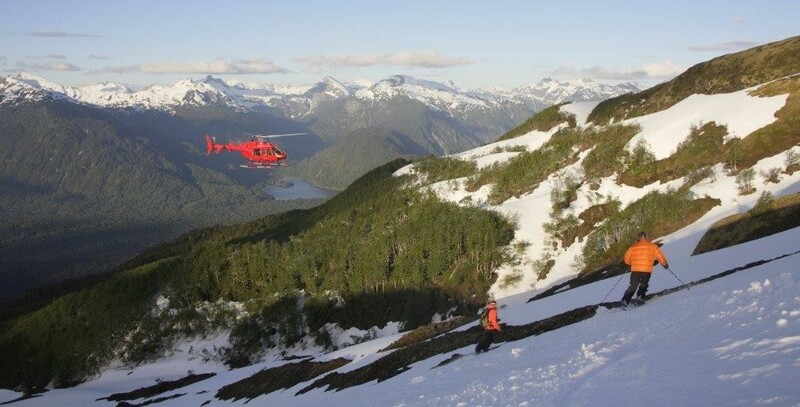 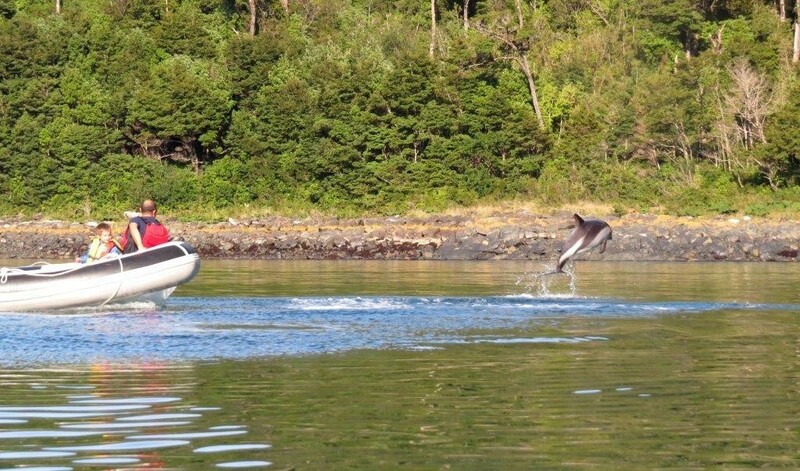 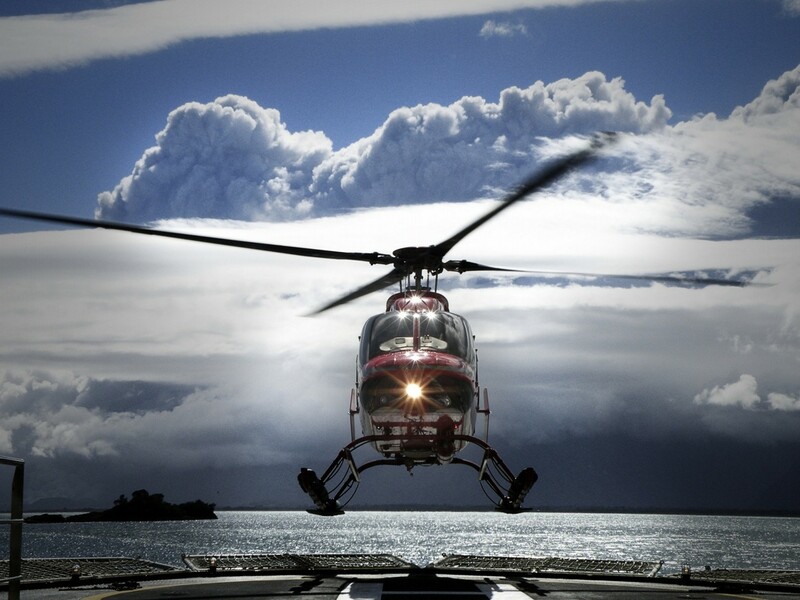 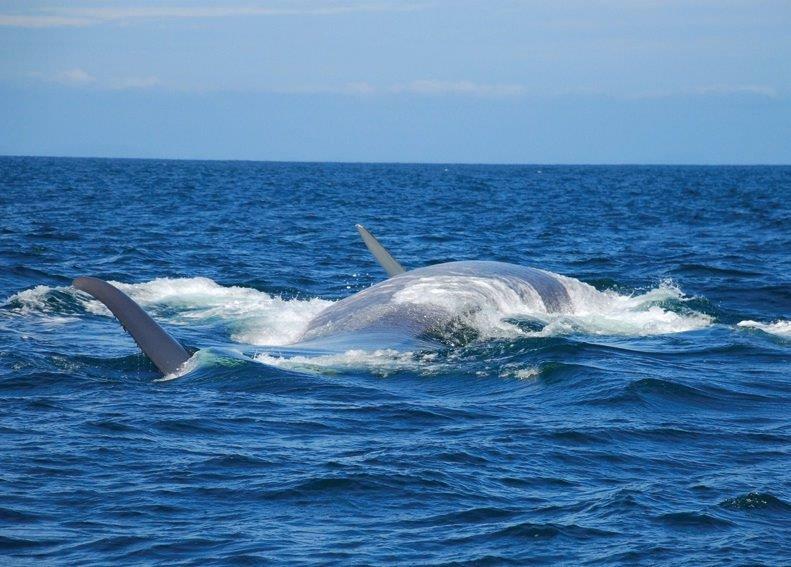 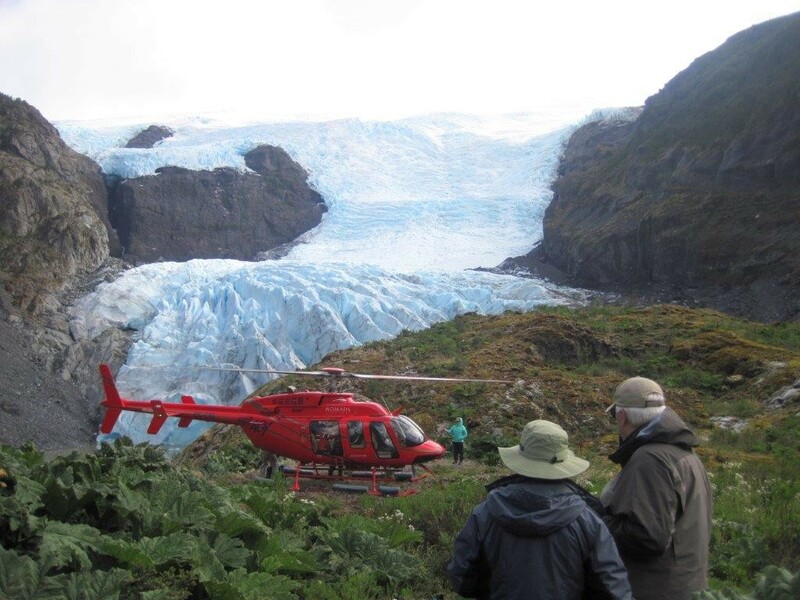 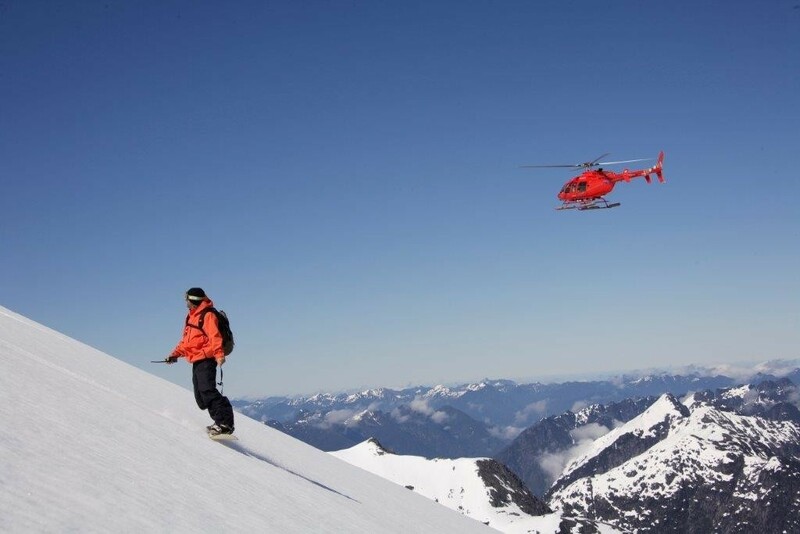 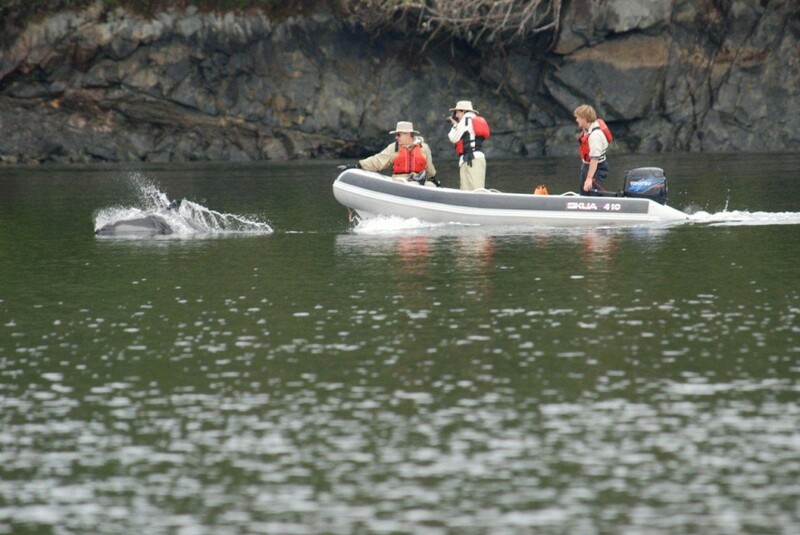 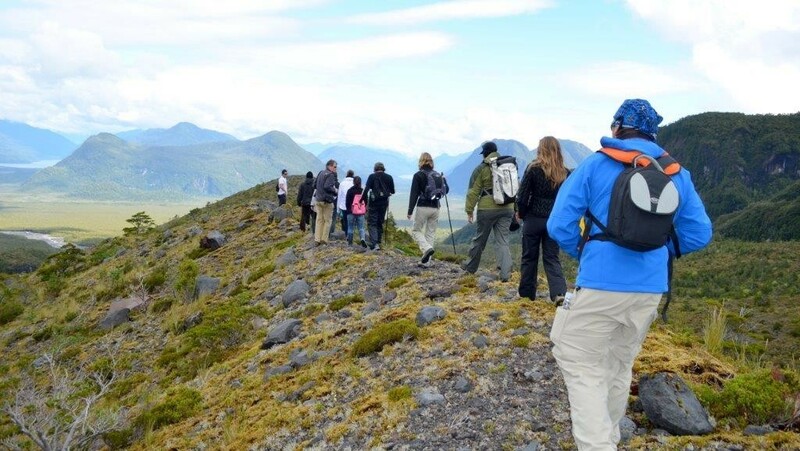 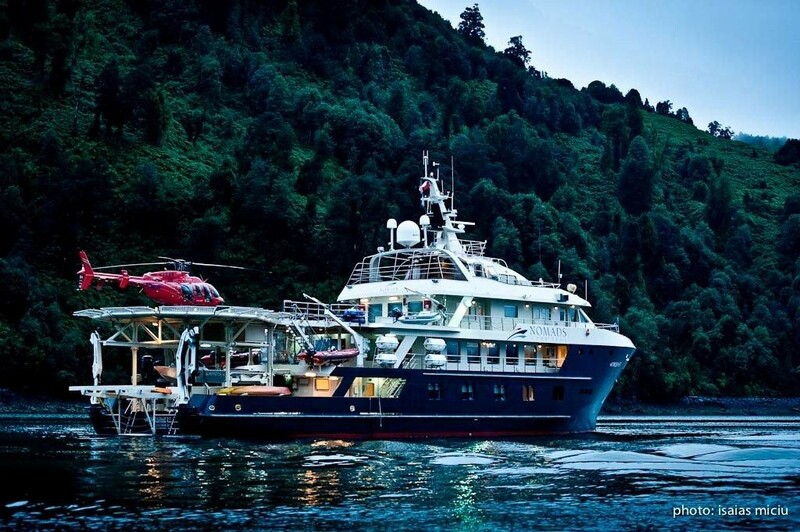 She can explore remote coastal areas anywhere worldwide and currently visits Patagonia in South Americas offering a very unique and rare charter vacation. 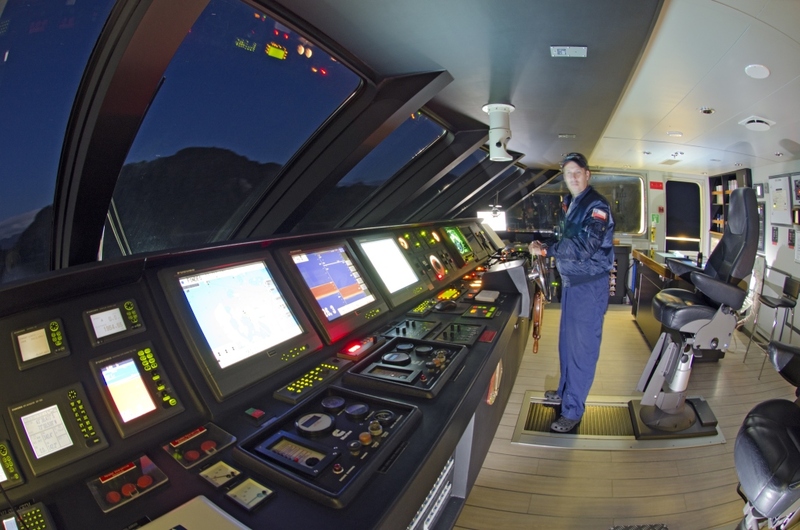 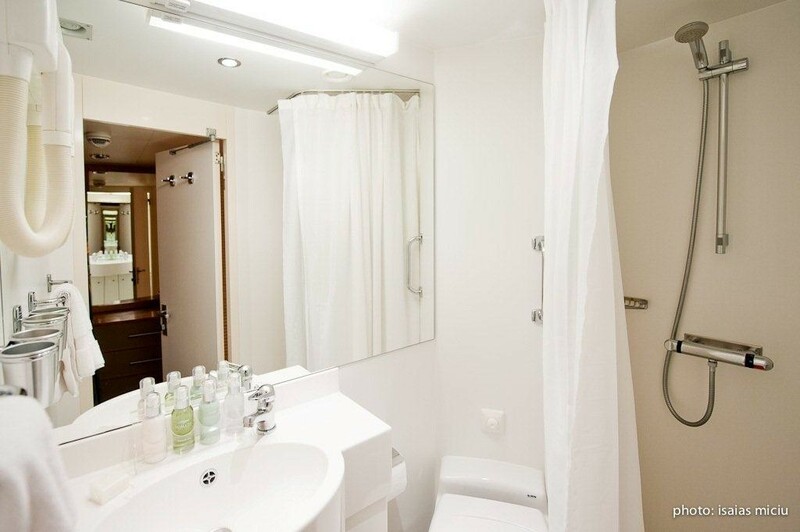 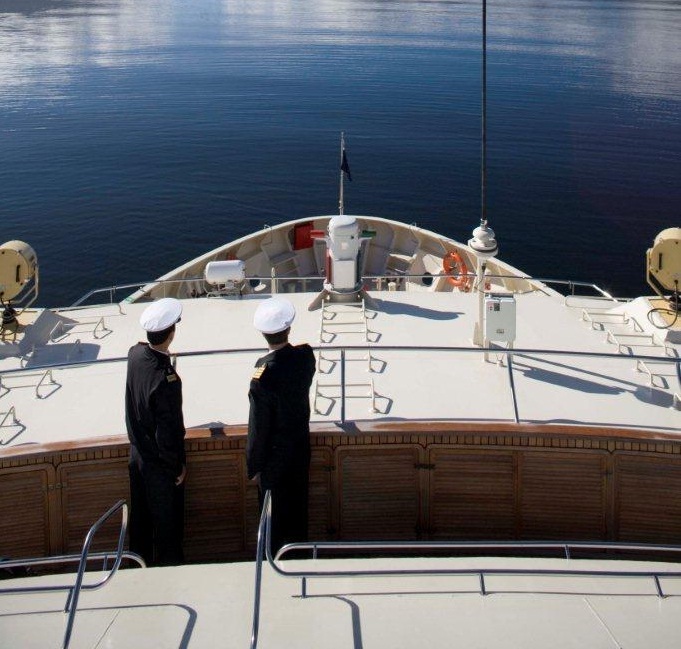 With a large number of specialised crew you are also sure to be spoiled with luxury. 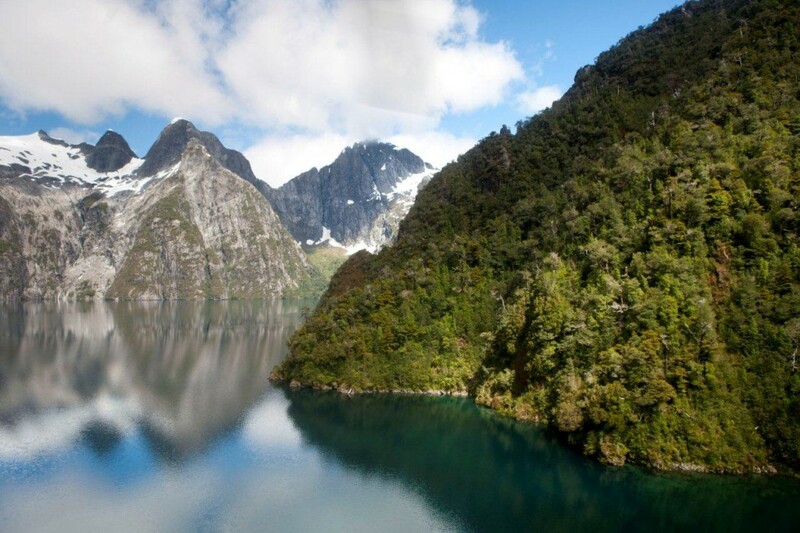 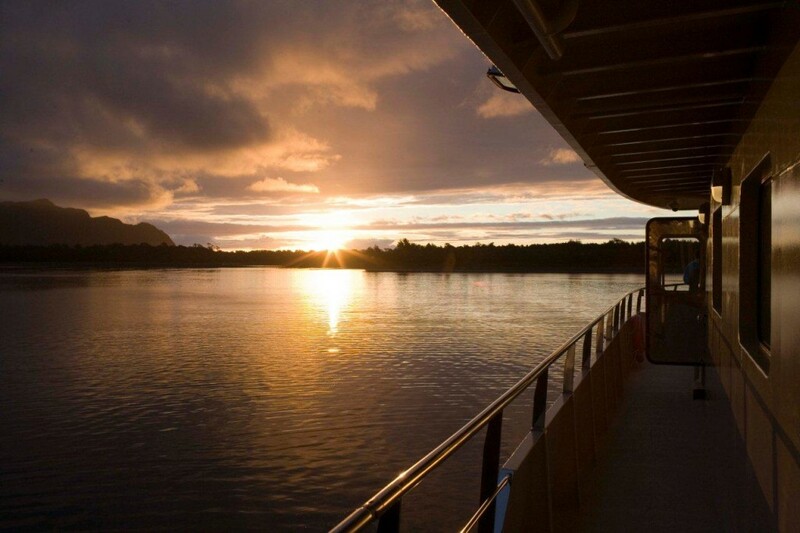 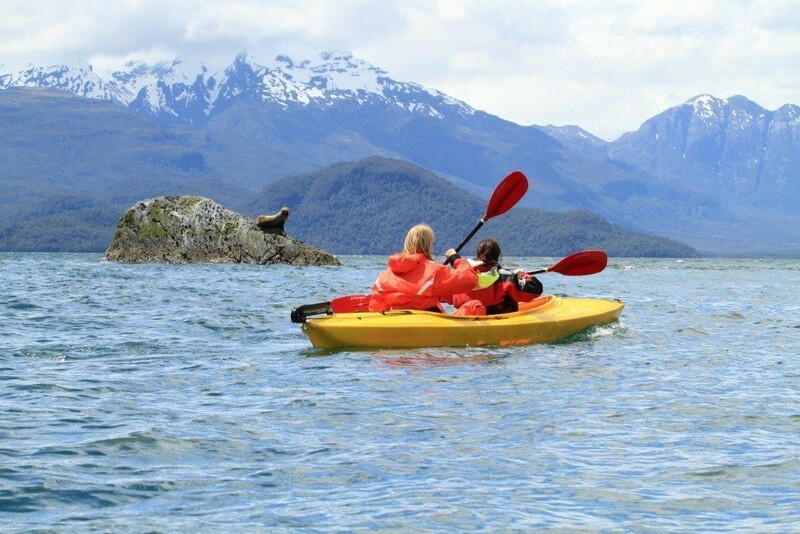 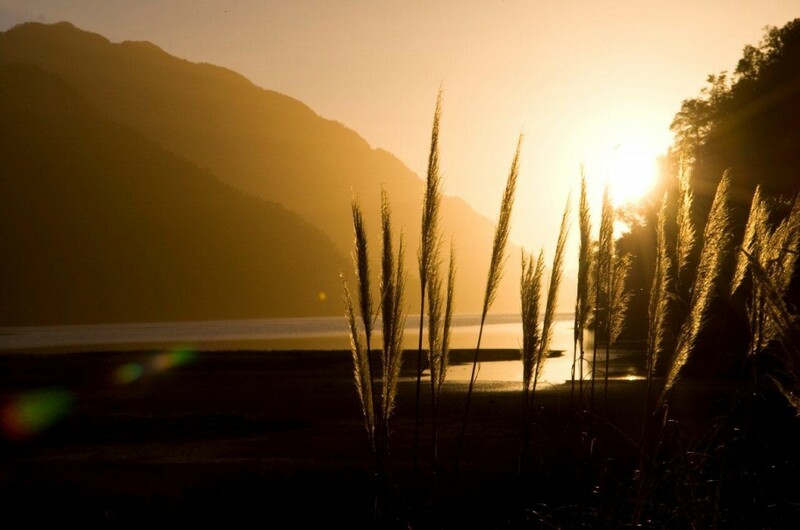 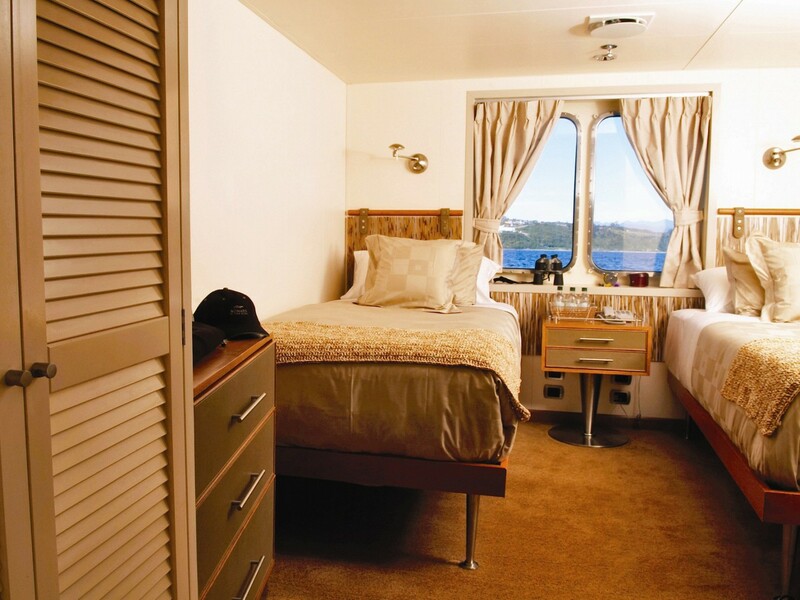 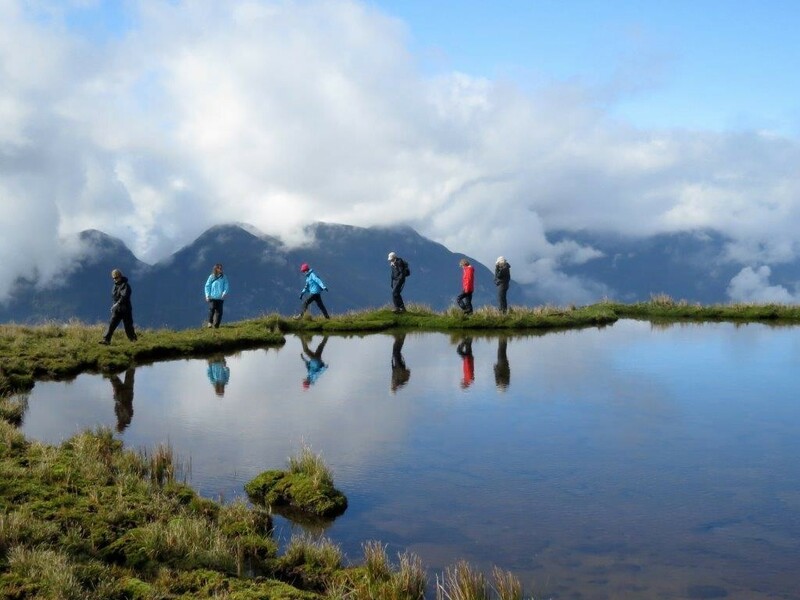 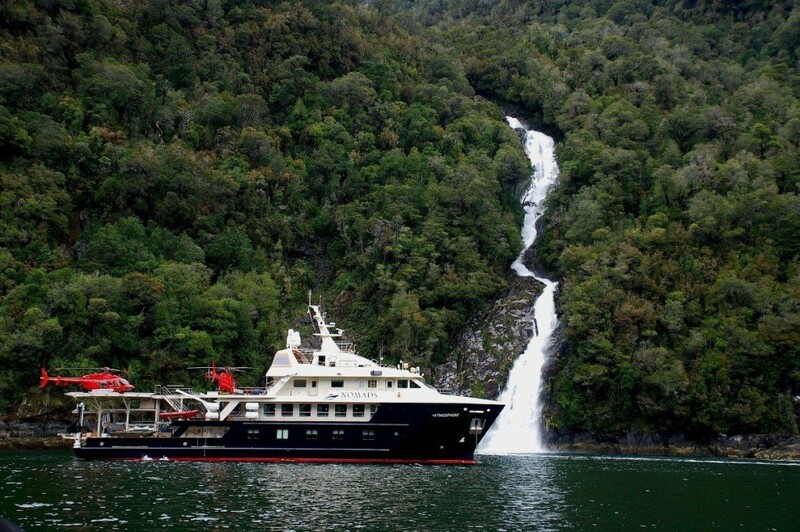 Explorer Yacht ATMOSPHERE (Nomads of the Seas) cruises the unspoilt ecological Patagonia areas of South America. 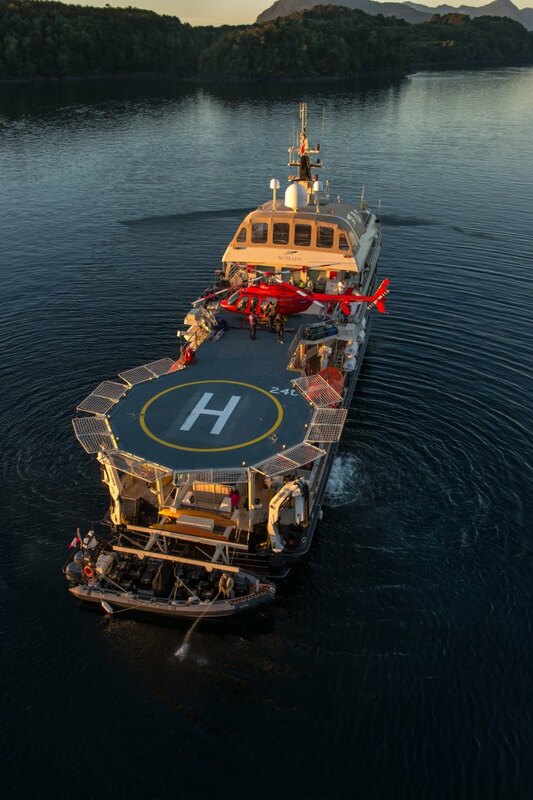 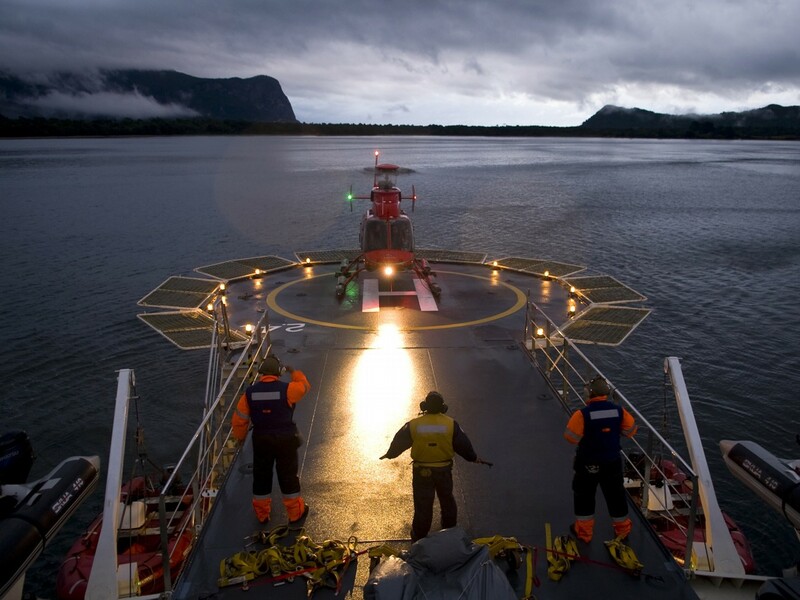 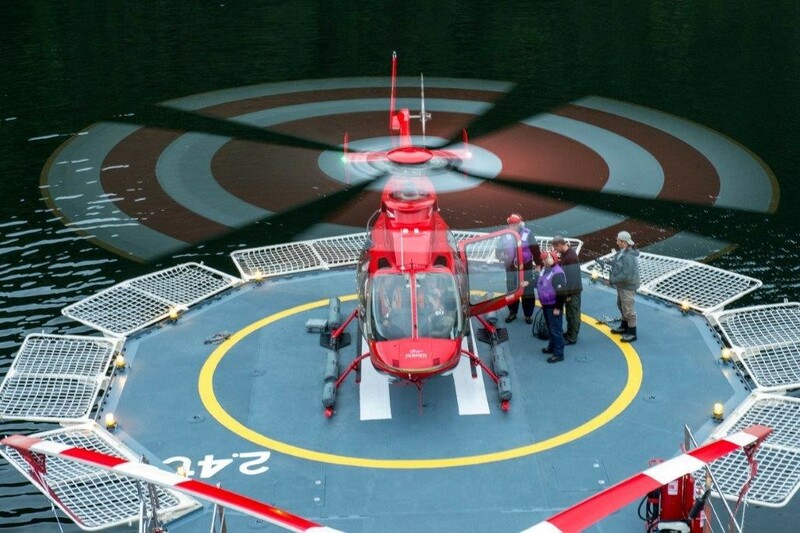 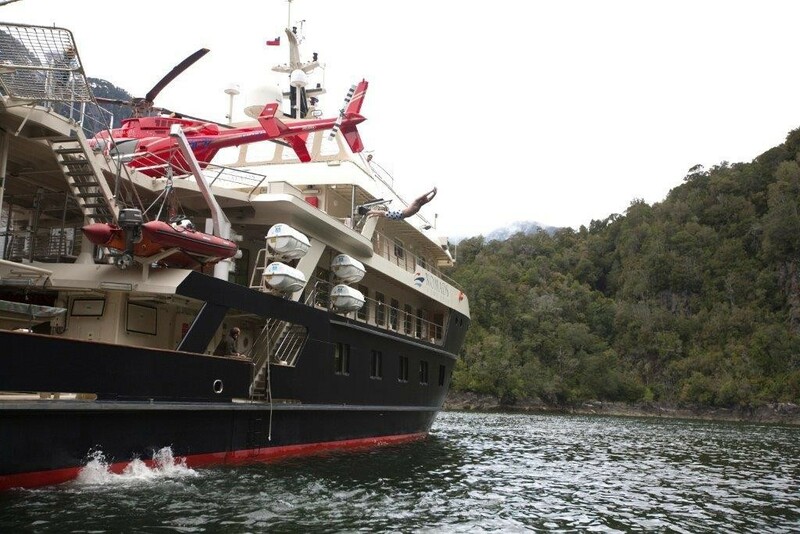 Thanks to the versatility of its vessel, the Atmosphere, its complete aero maritime transportation system and the expertise of its guides and crew members. 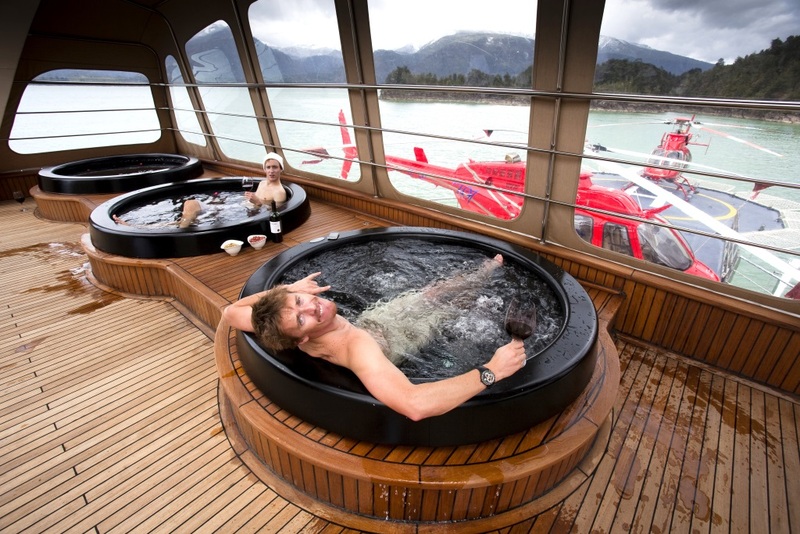 The sauna and a spectacular Spa Pool of sweet water, also located on this deck, are the perfect complement for the pools. 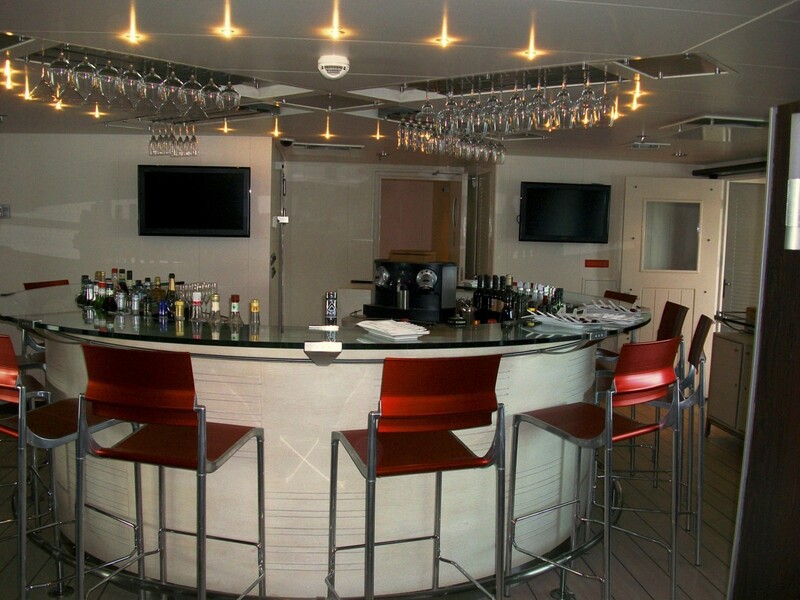 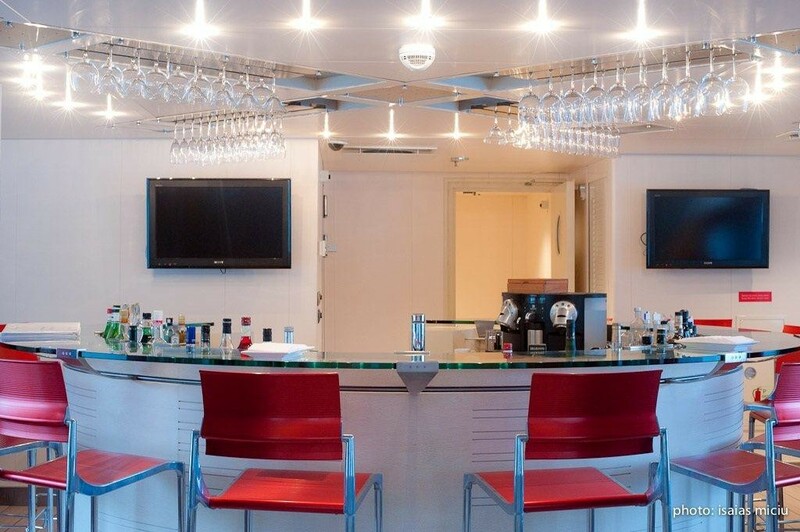 They can be enjoyed alone, with wine or cocktails, which will be permanently available. 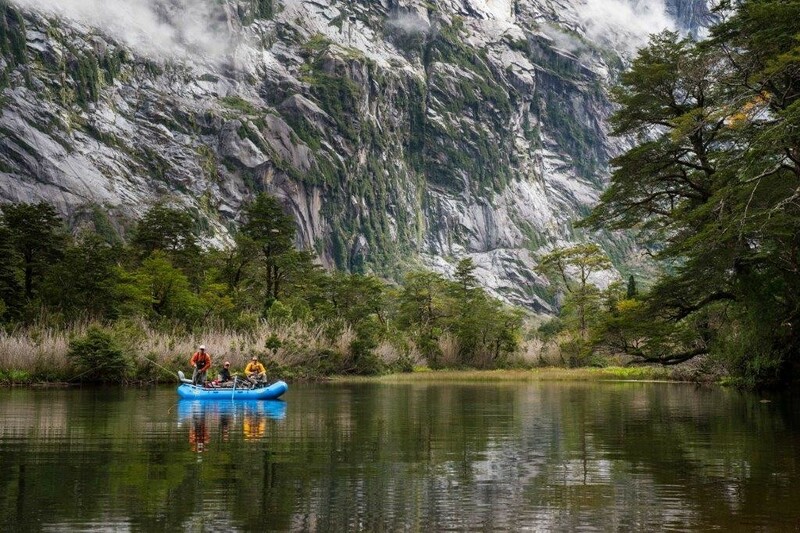 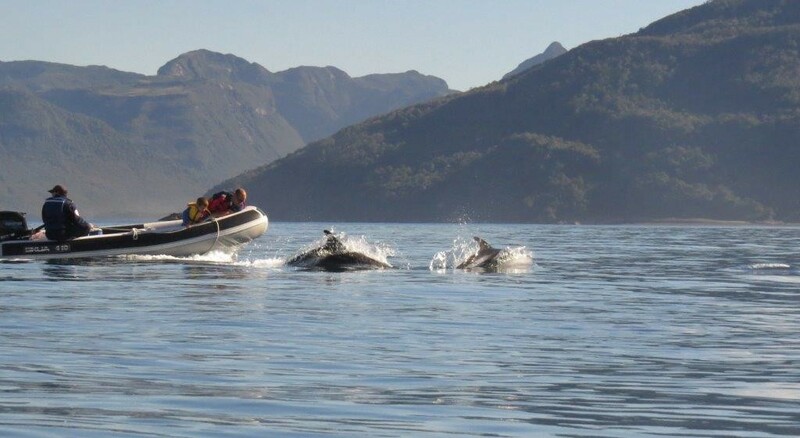 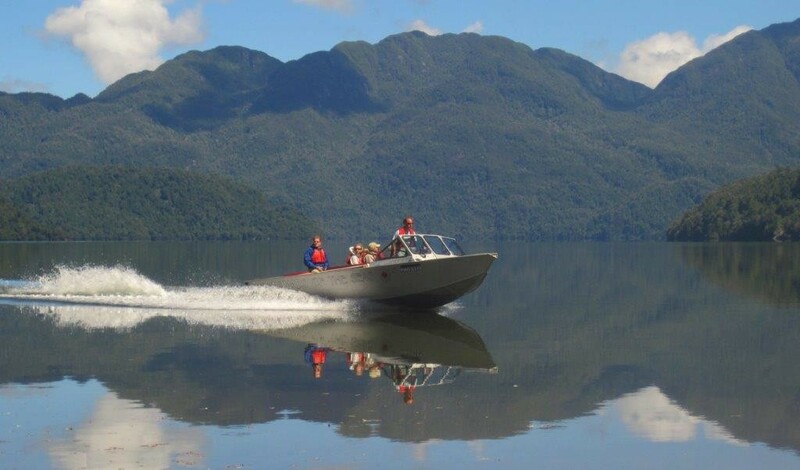 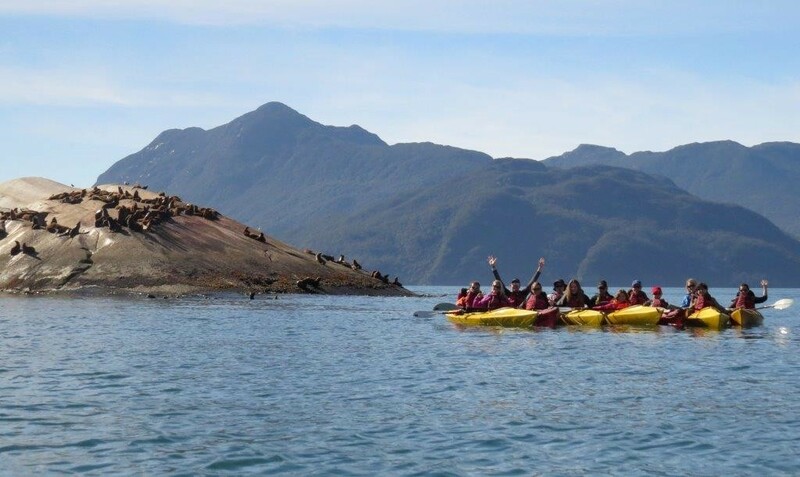 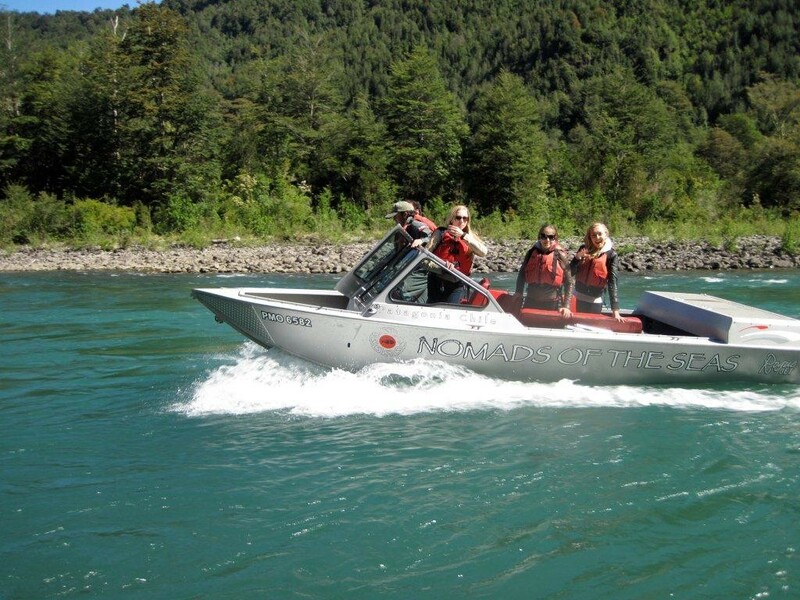 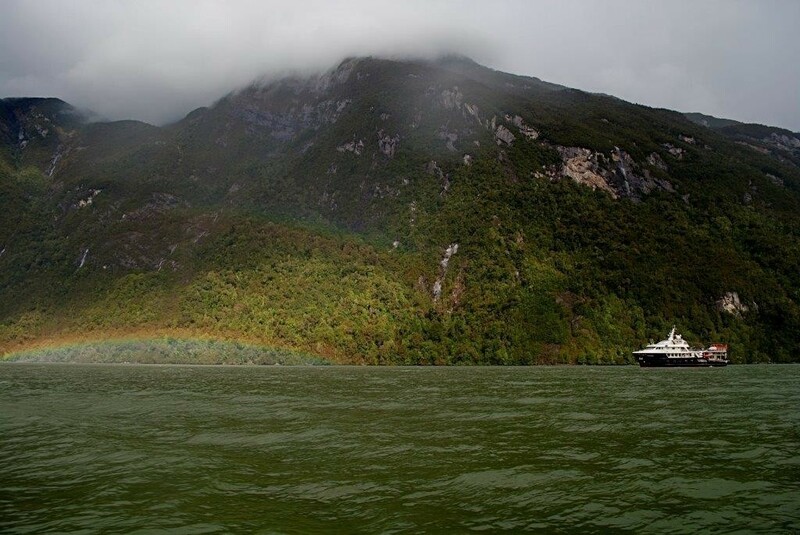 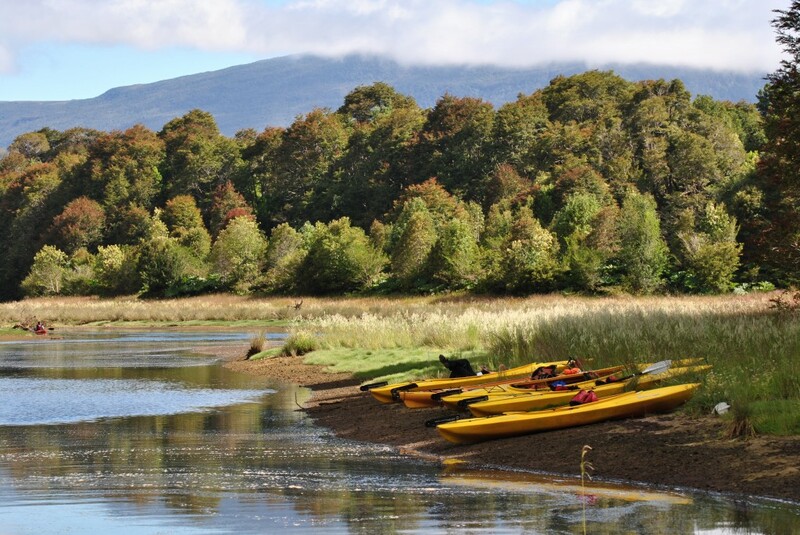 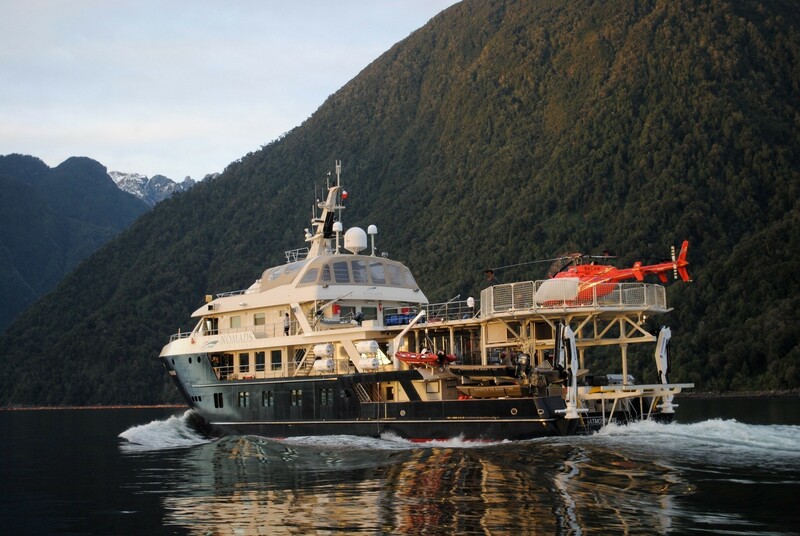 The Atmosphere cruises by night and by day it anchors in bays and fiords of Patagonia, where guests can disembark for their adventures by using the many vehicles available for the programmed activities. 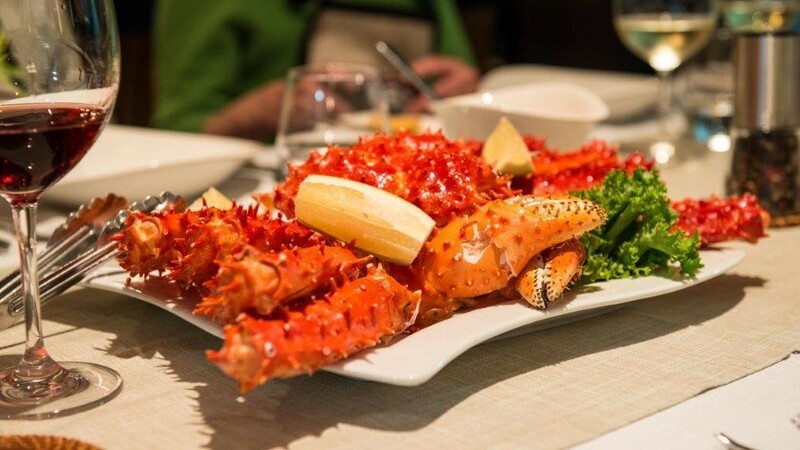 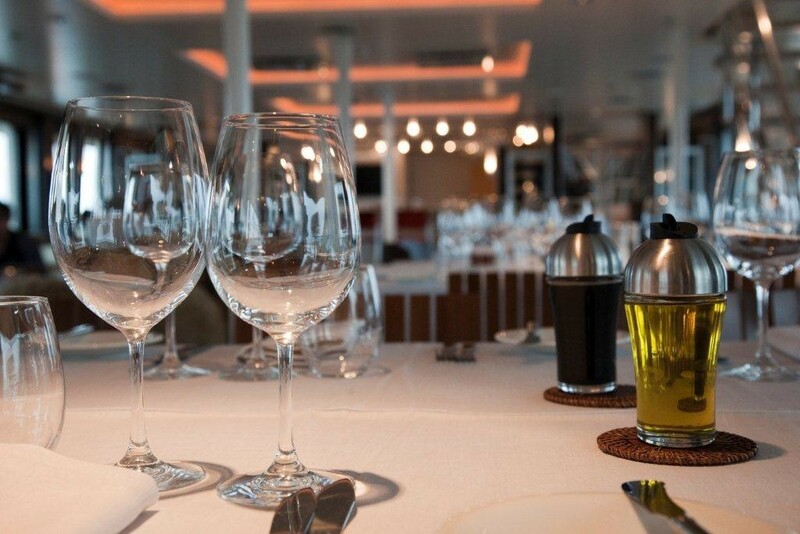 If the activities are to last the whole day, our guides are equipped with delicious gourmet lunches, if the activities are shorter the ships staff will have exquisite preparations waiting for you on board. 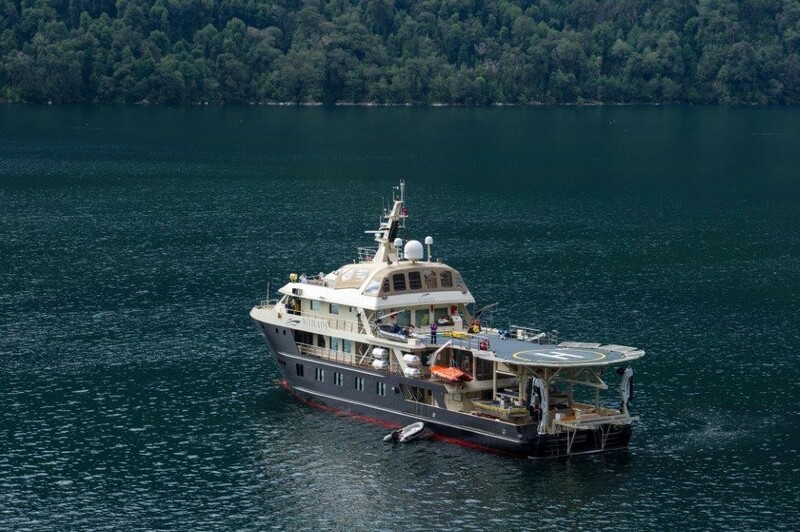 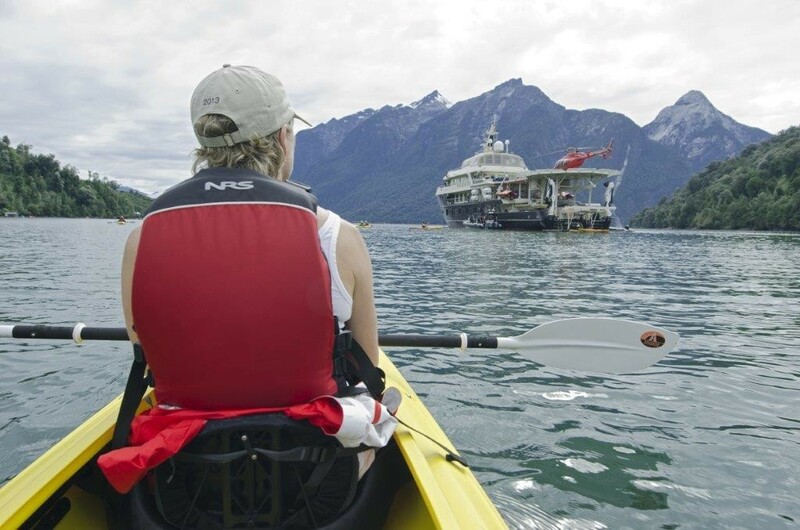 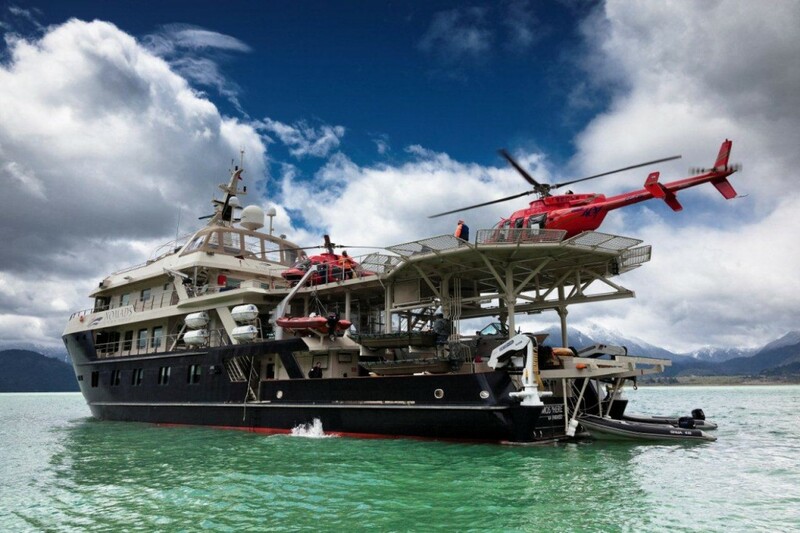 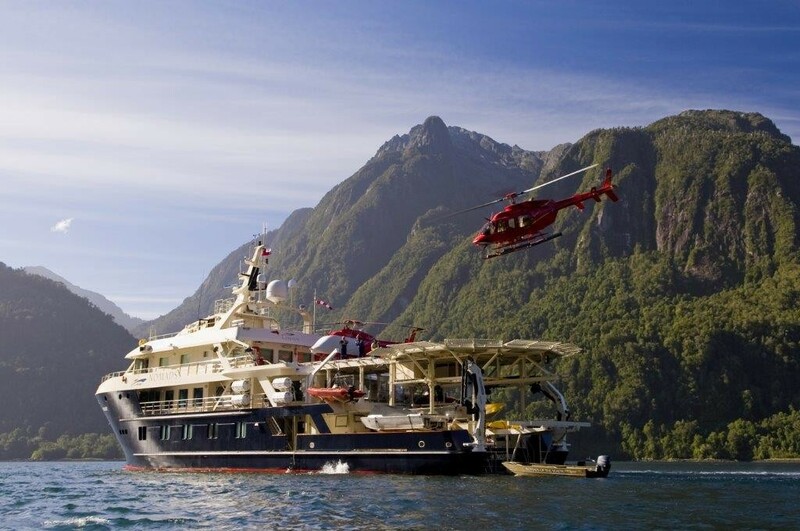 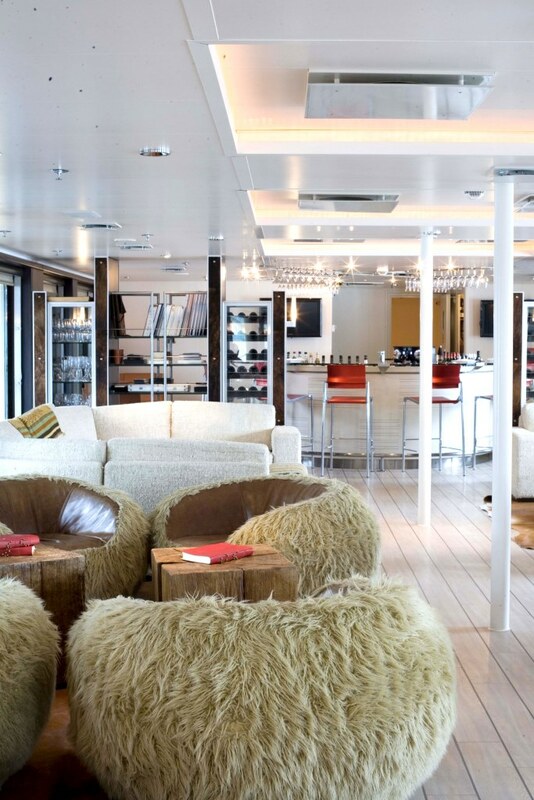 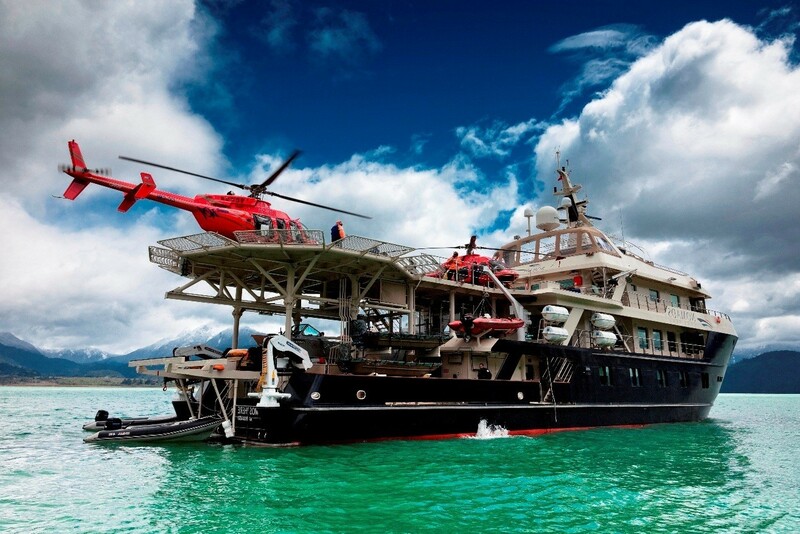 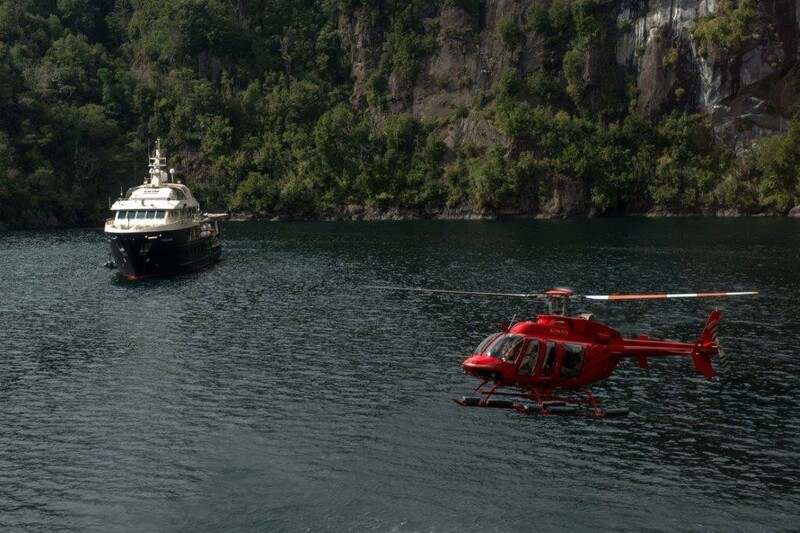 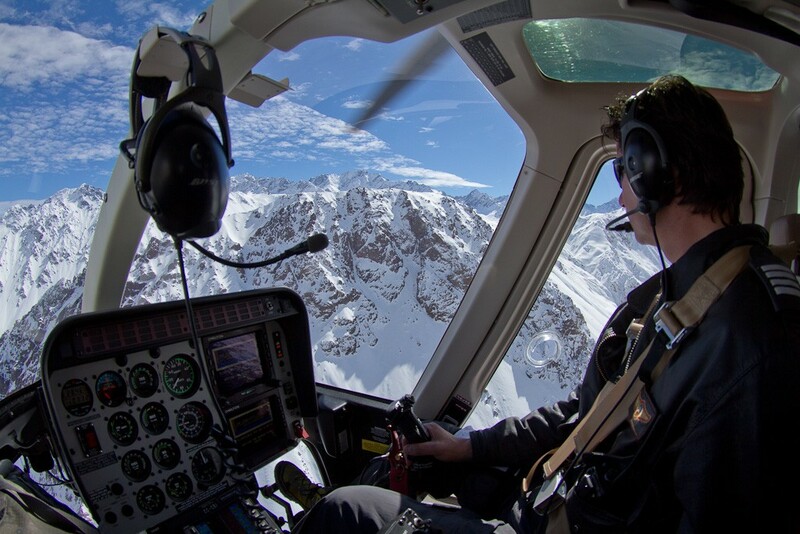 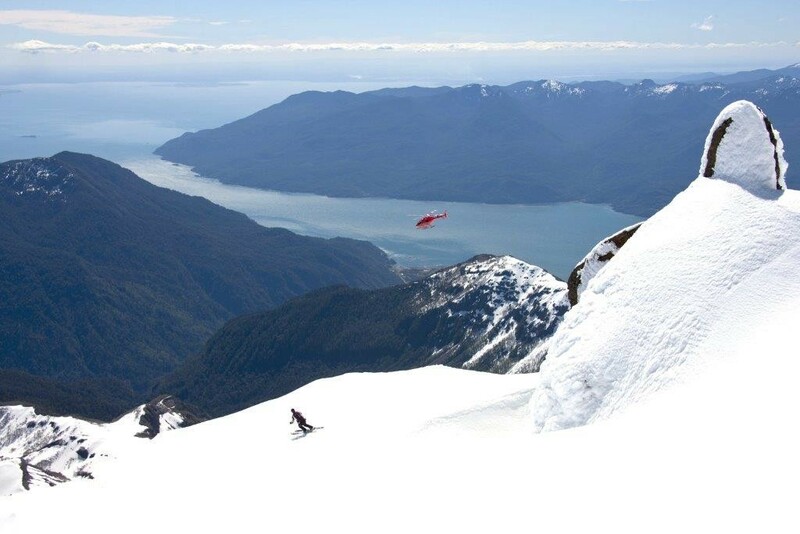 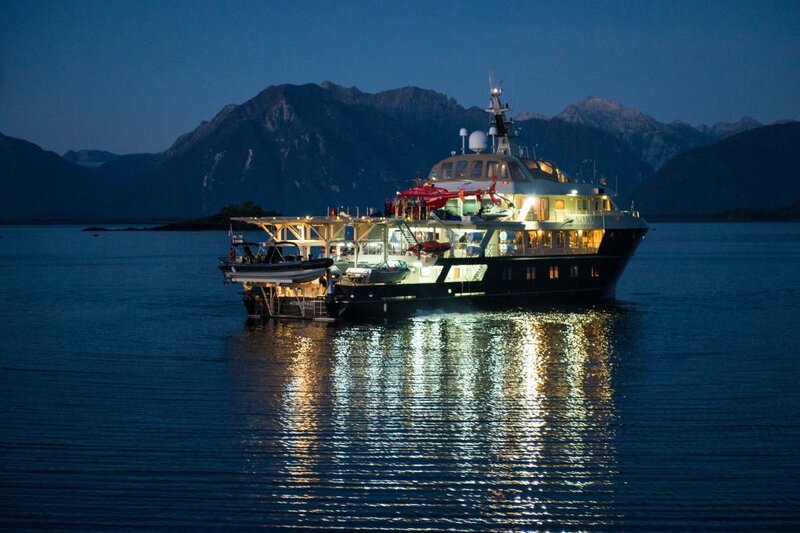 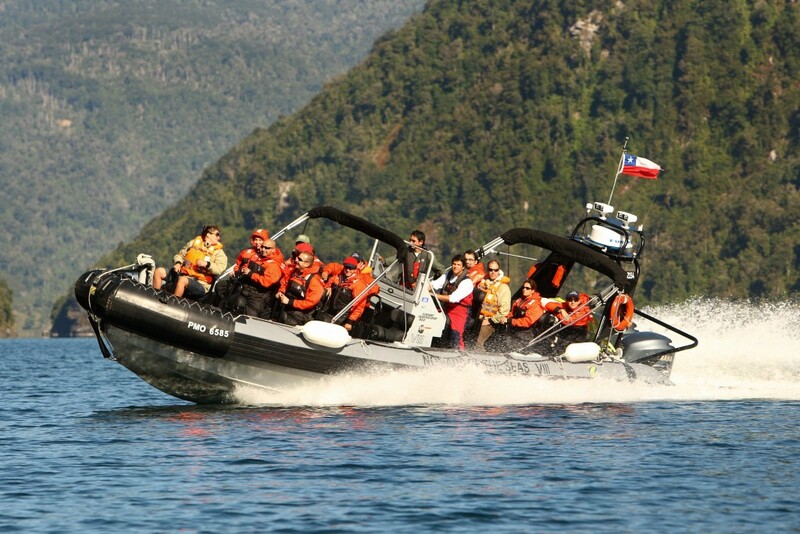 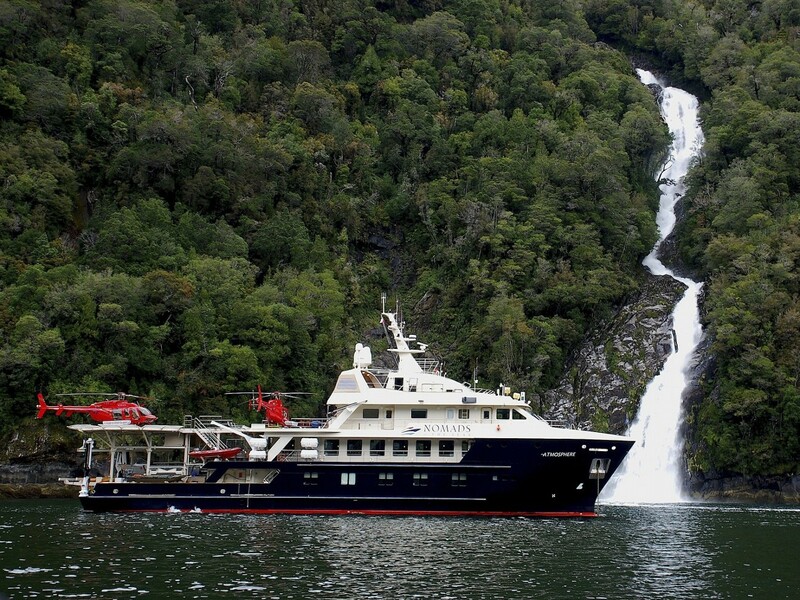 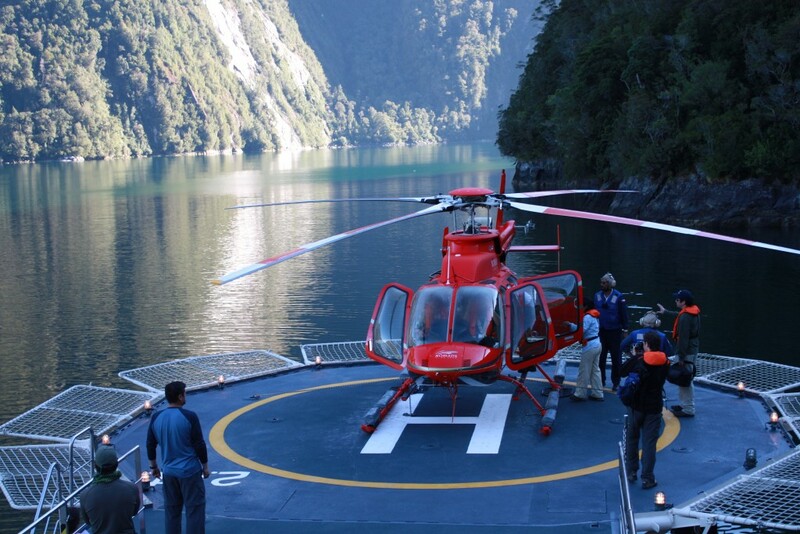 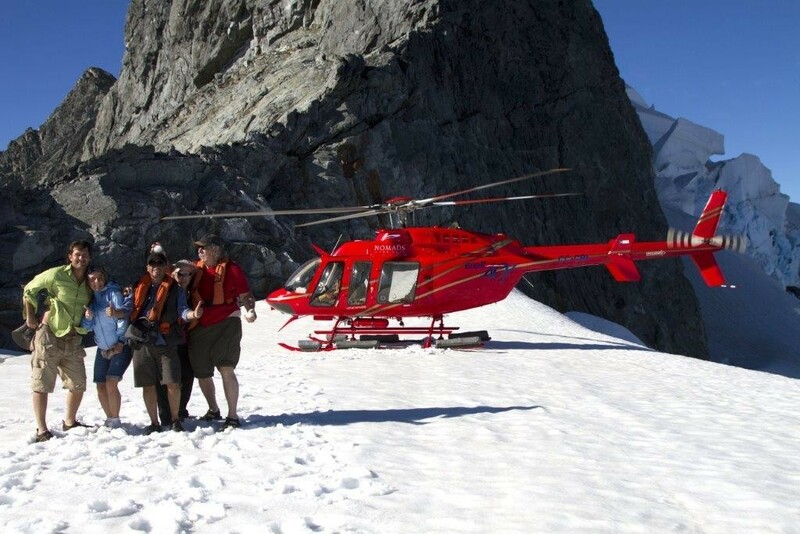 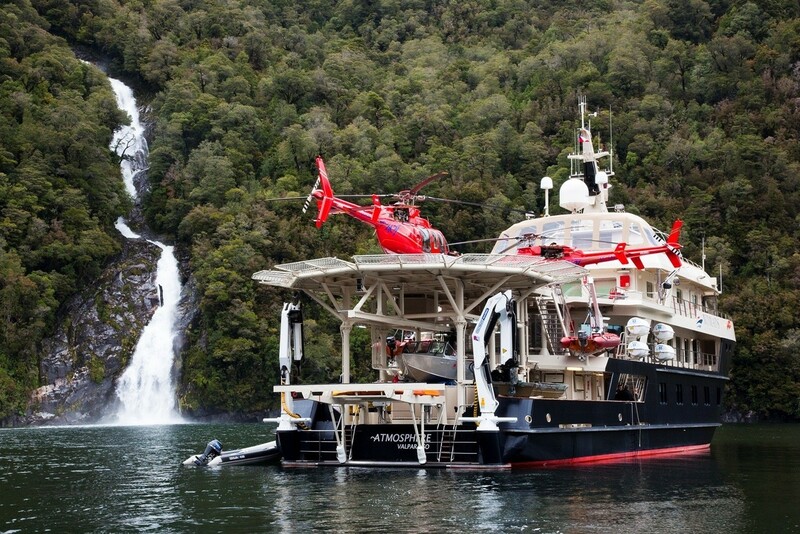 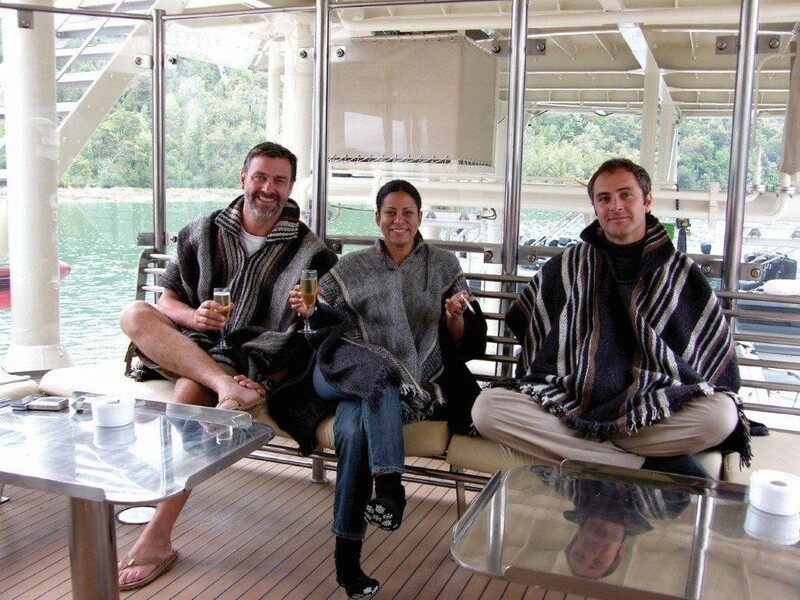 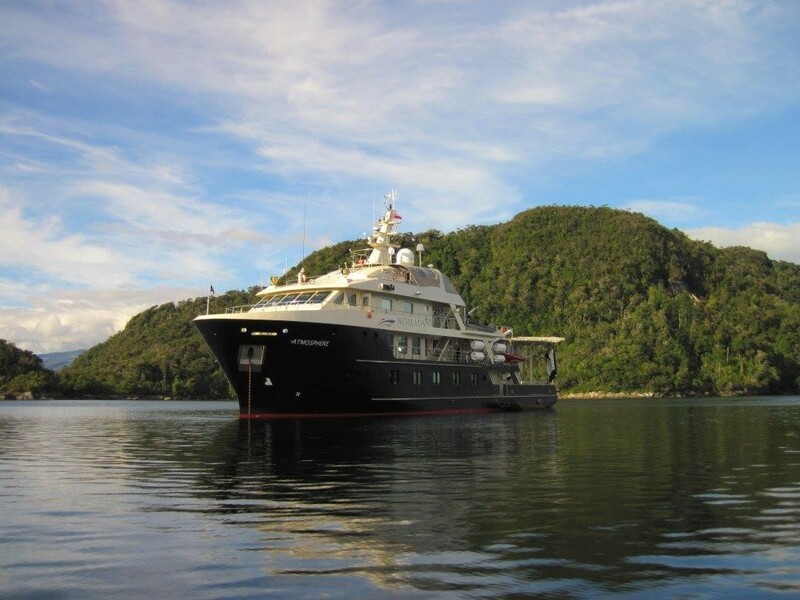 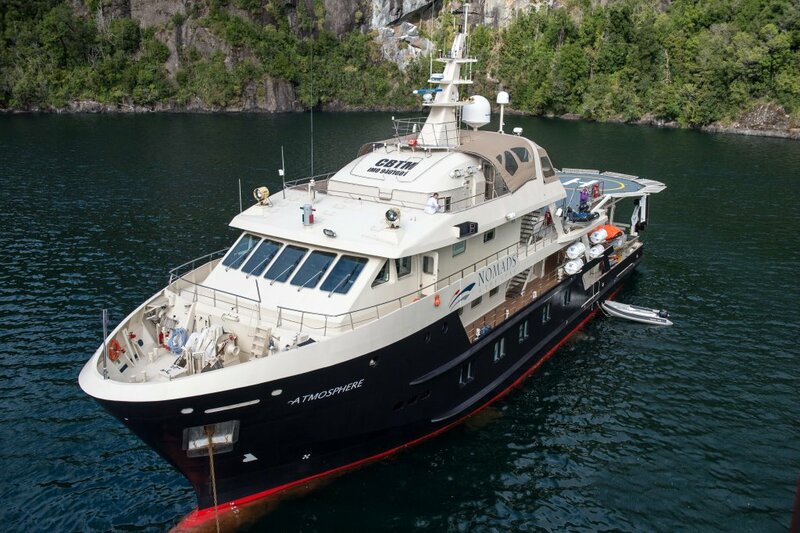 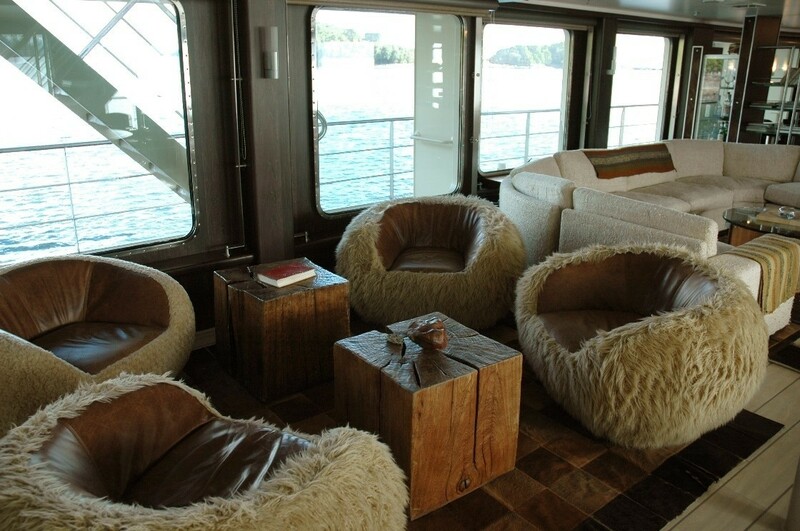 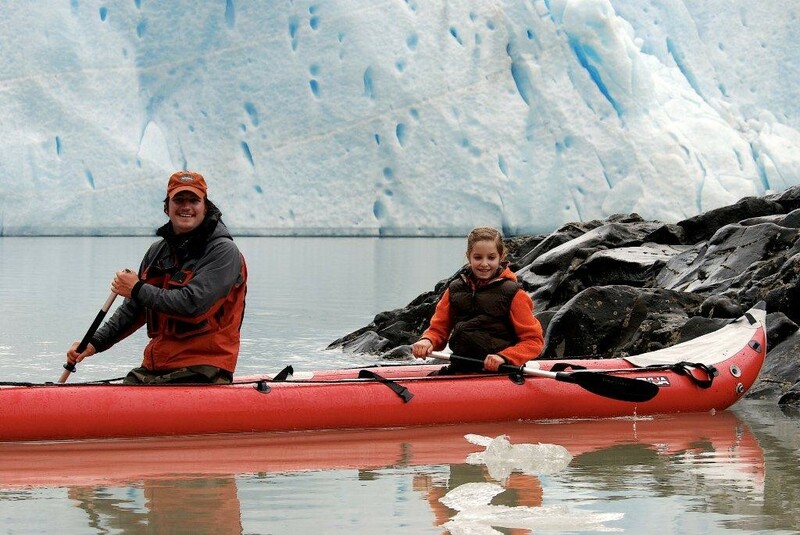 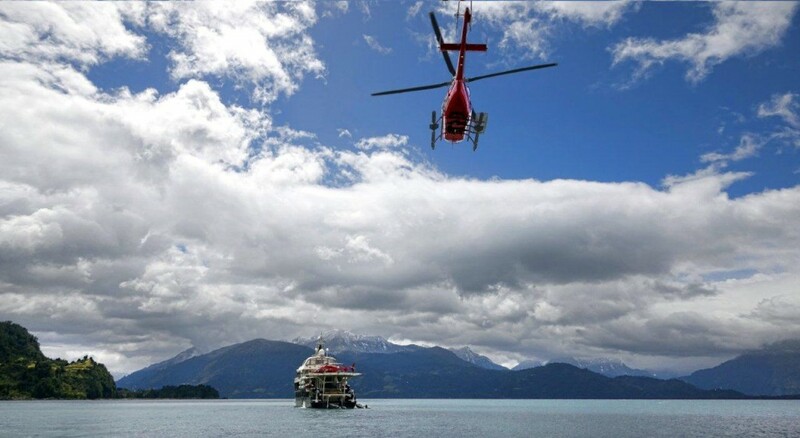 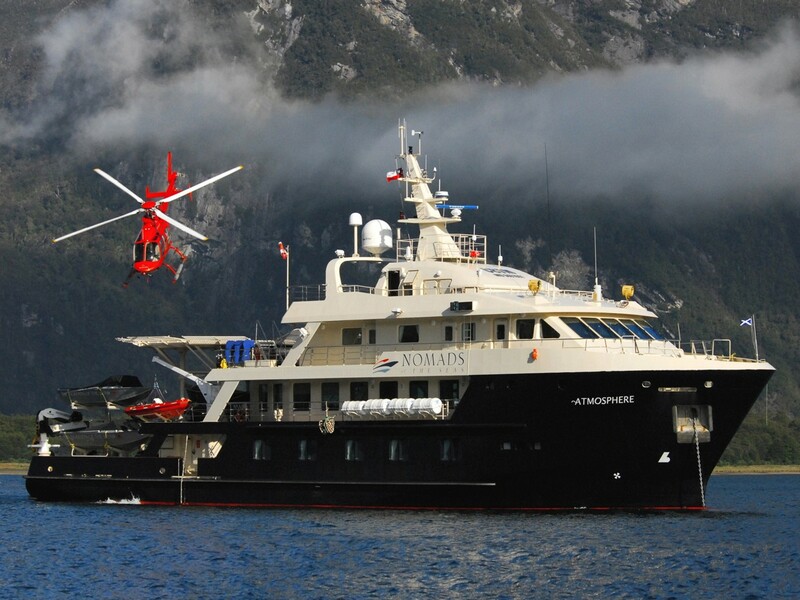 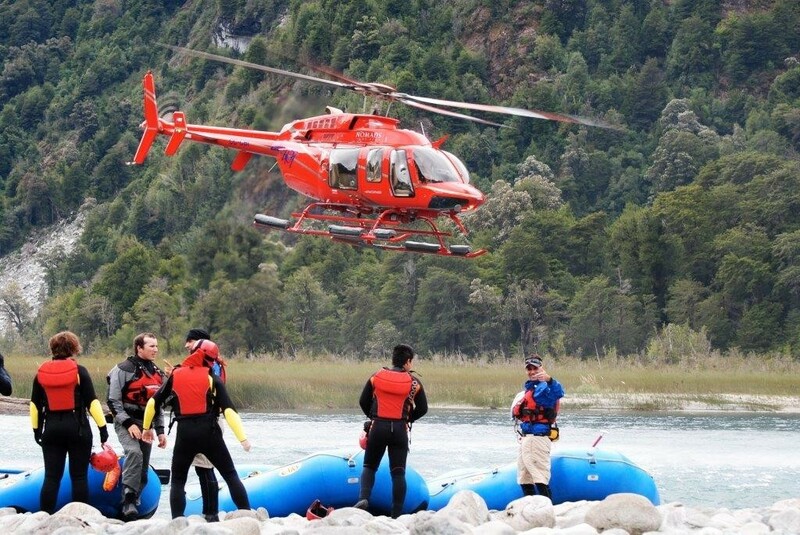 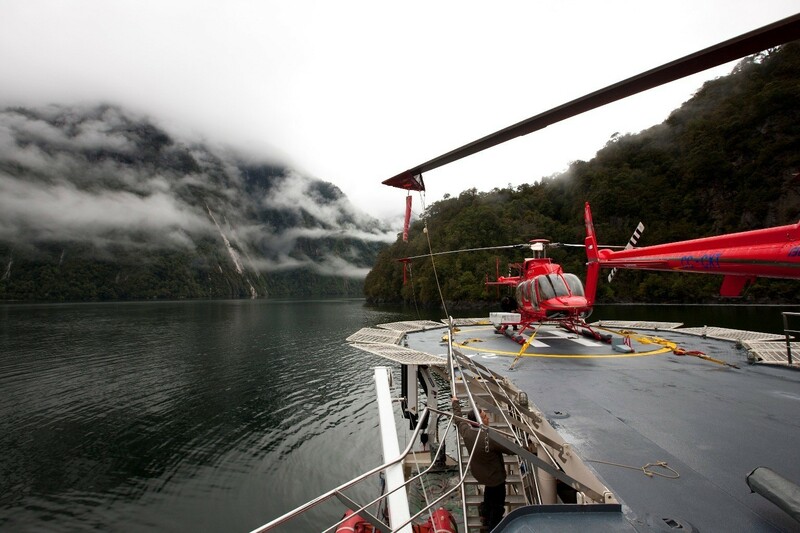 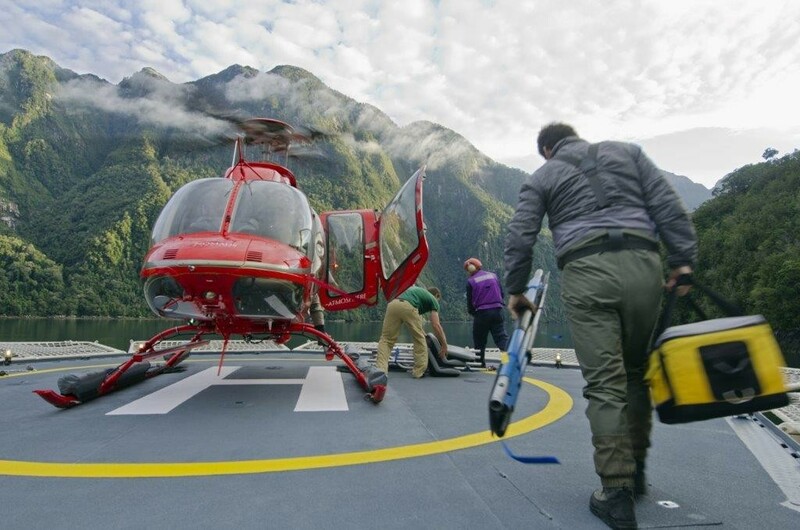 Explorer Yacht ATMOSPHERE, Patagonian adventure acquire an entire new meaning aboard the Atmosphere. 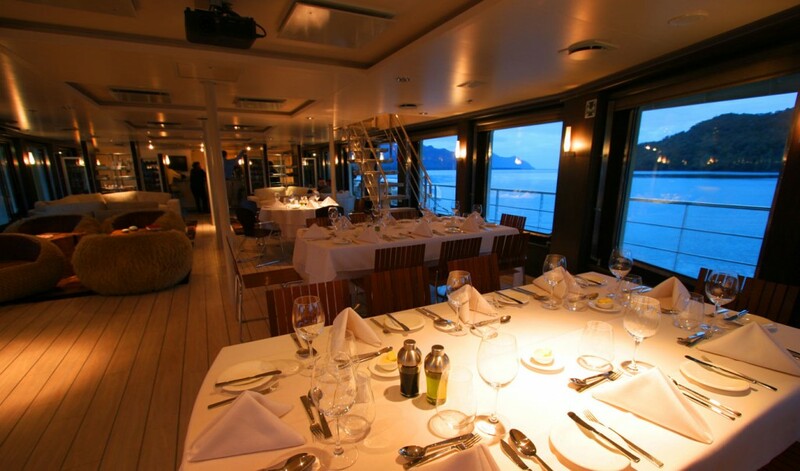 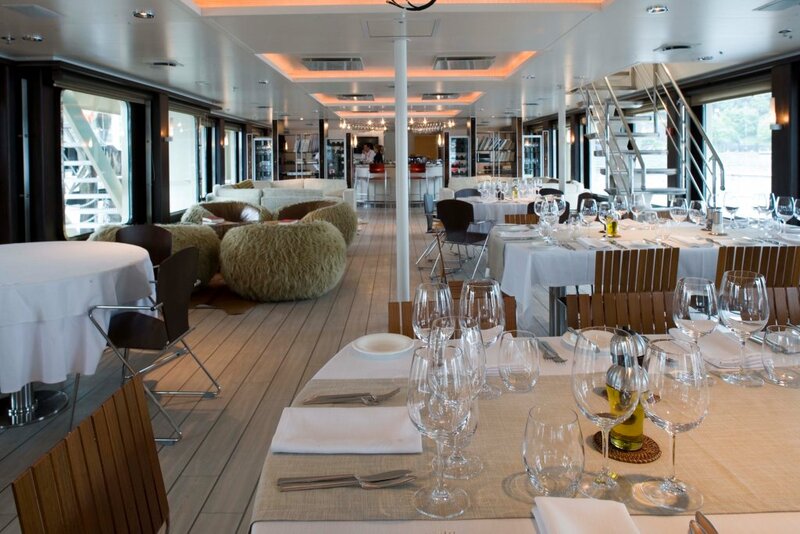 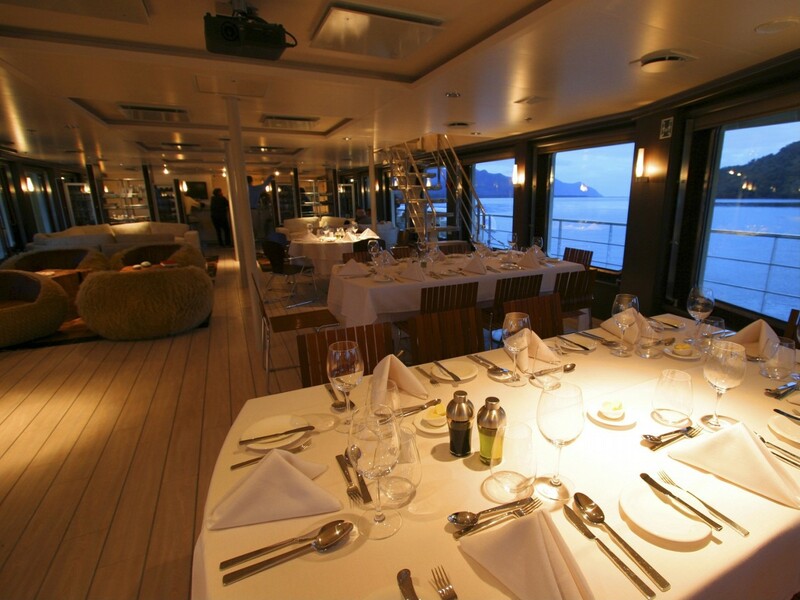 Yacht ATMOSPHERE is a gateway to a unique and yet unexplored gastronomy: Patagonian cuisine. 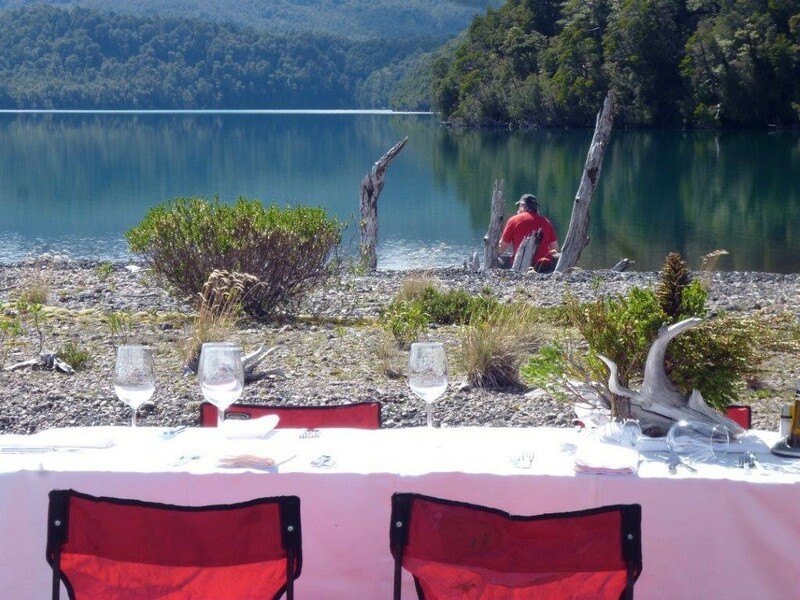 Chilean renowned chef, Guillermo Rodríguez, president of the Chilean chapter of Les Toques Blanches, will introduce our guests to the unique flavors of this territory, blending these to international standards. 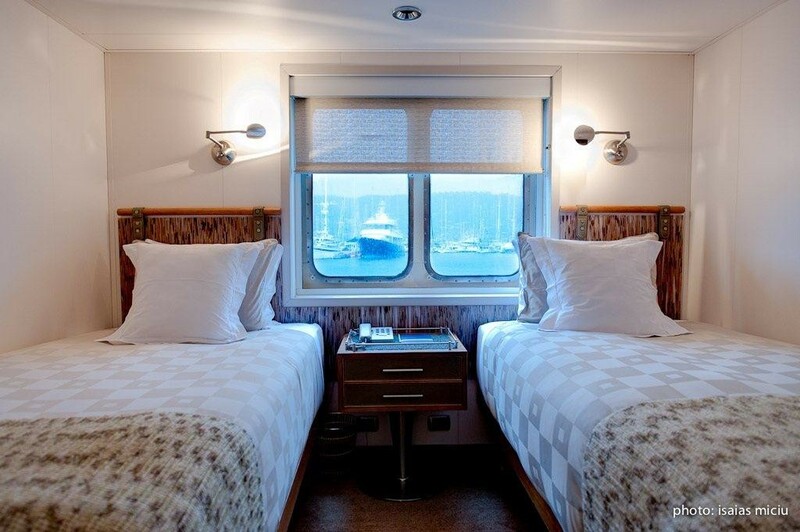 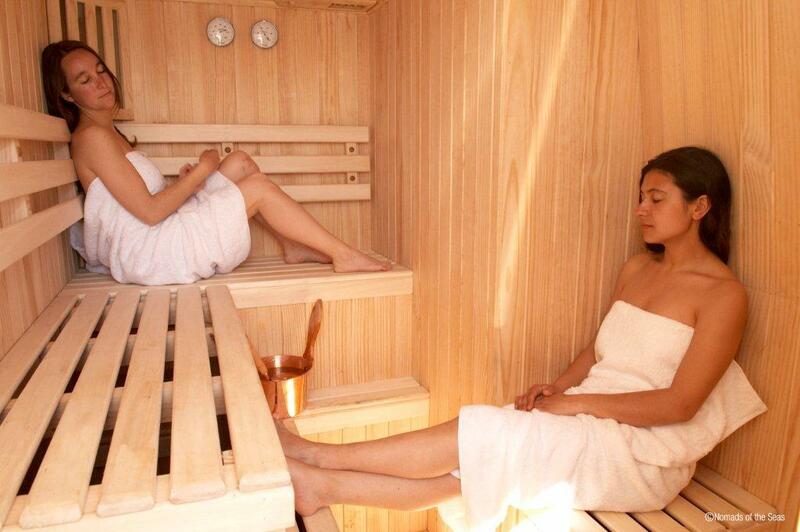 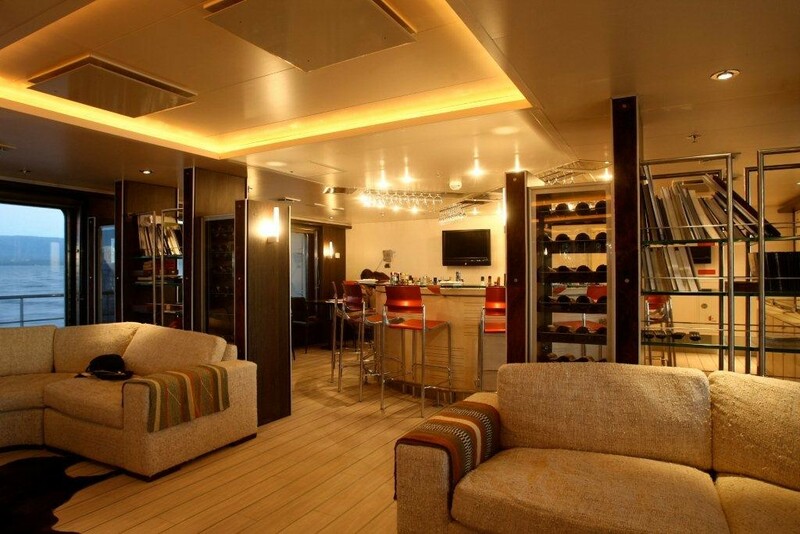 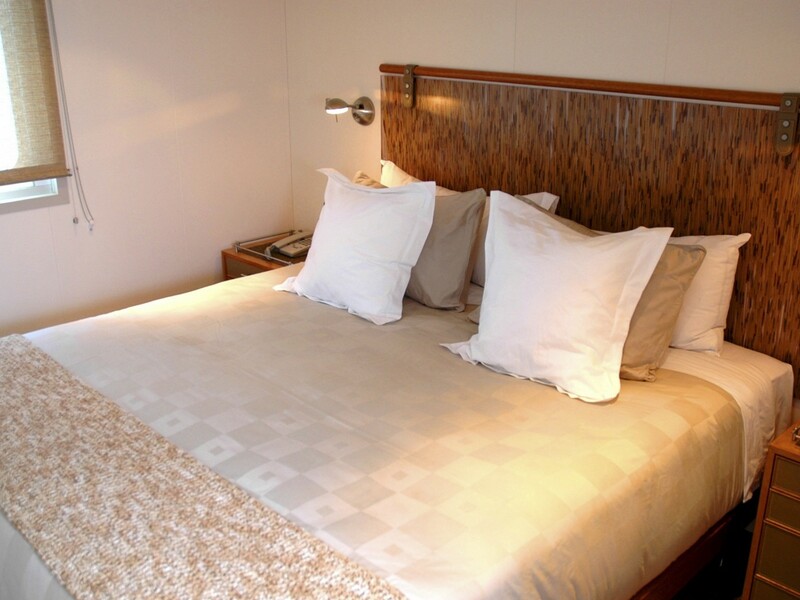 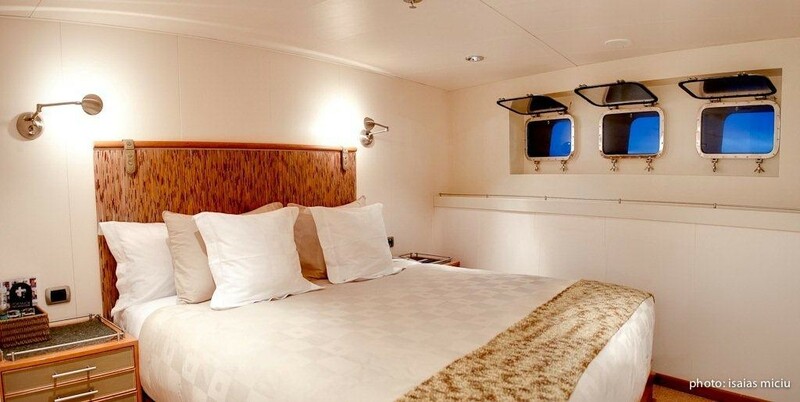 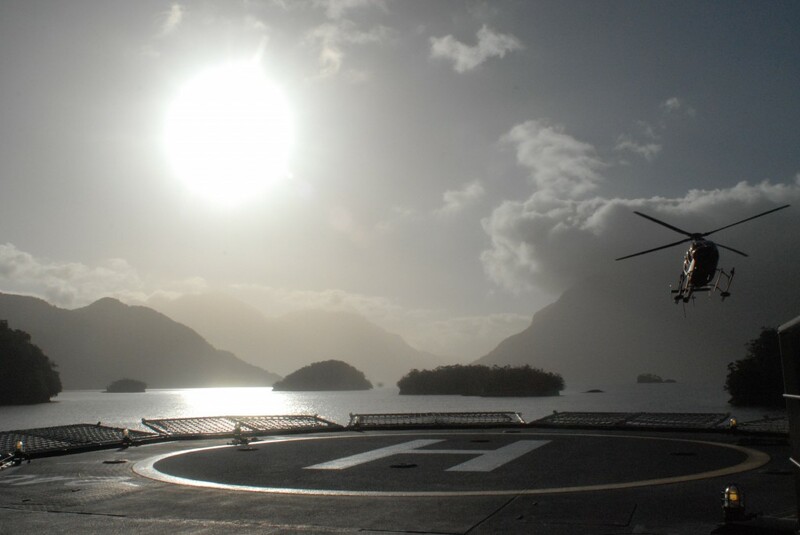 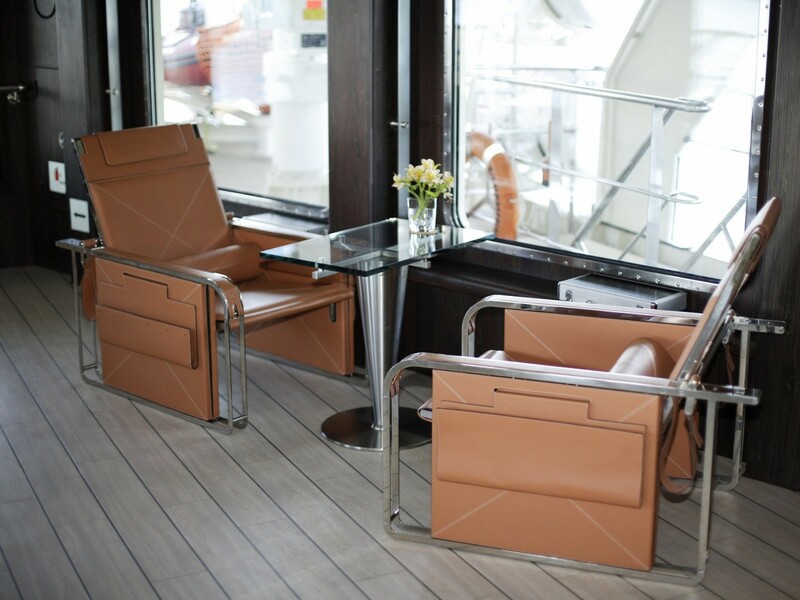 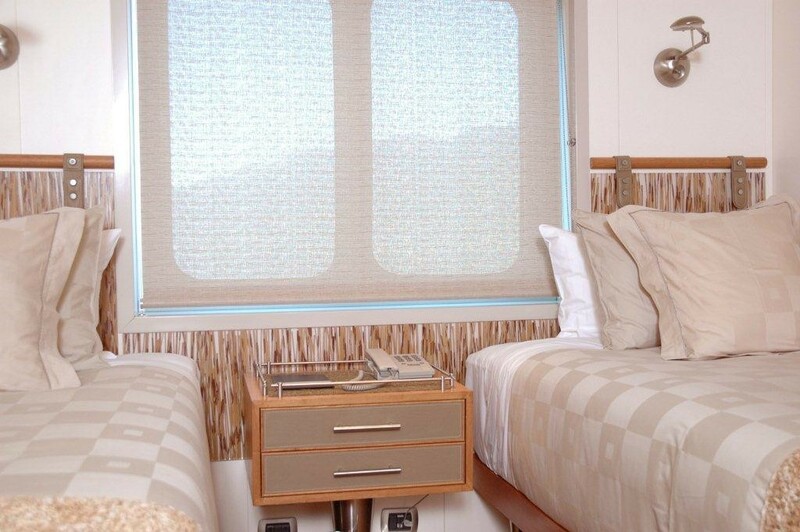 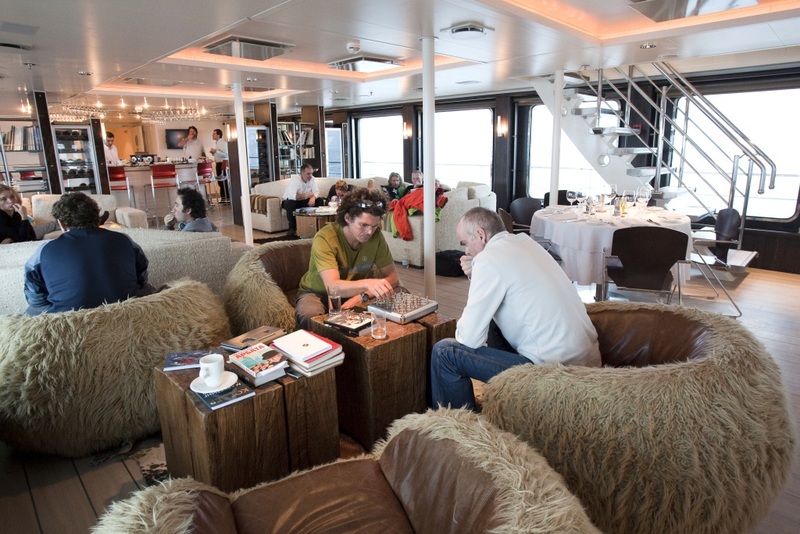 Rest and relaxation are an integral part of the adventure aboard Atmosphere. 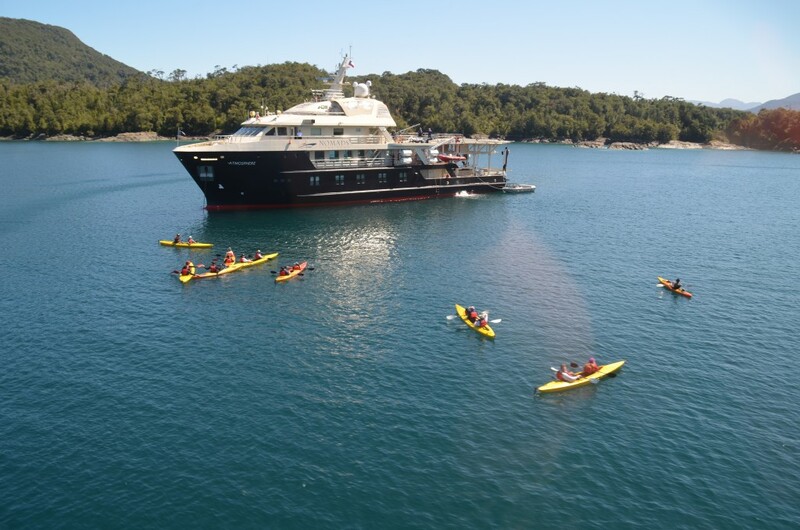 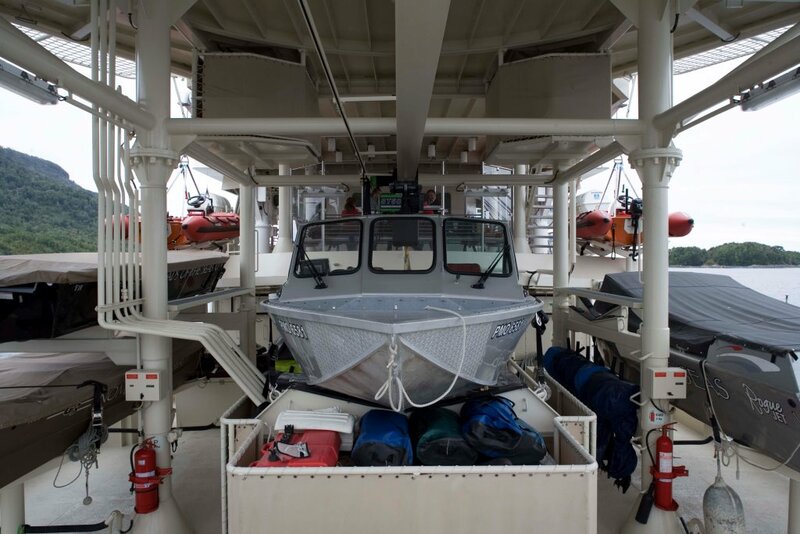 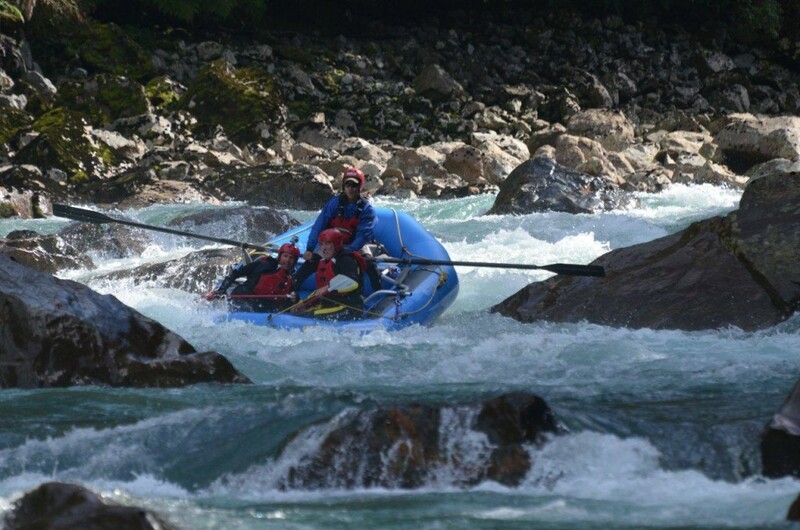 To this end, Nomads of the Seas created a program to achieve a different and reenergizing connection in direct contact with the natural elements. 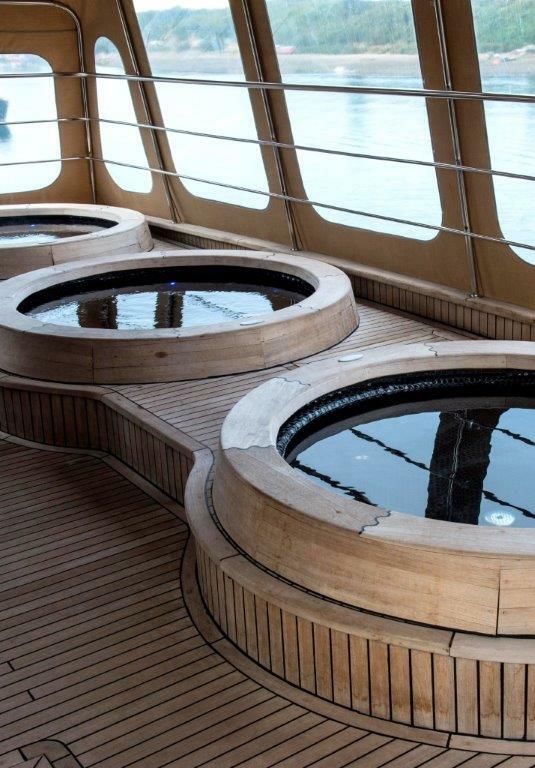 Its Spa experience includes connecting to the richness of the sea and its regenerating properties through the Thalassotherapy pools, located on the fifth deck. 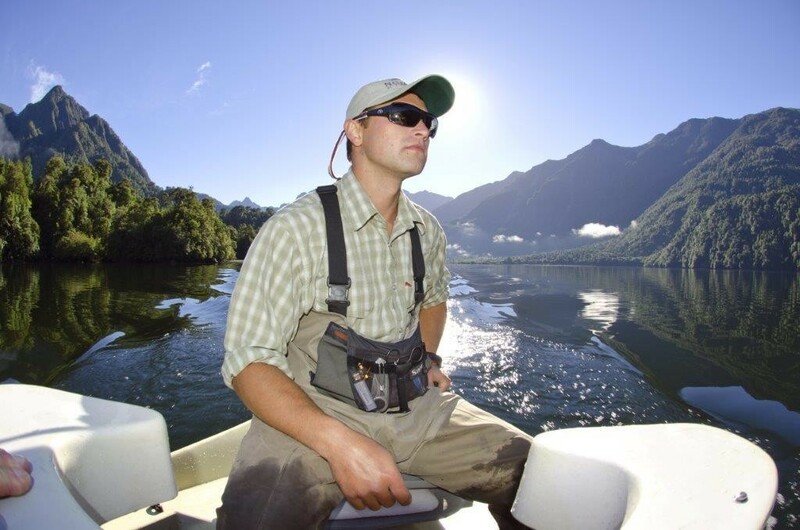 Fishing and Nature have been my life`s passion, and have prompted me to travel the most unexplored corners of my country and the world. 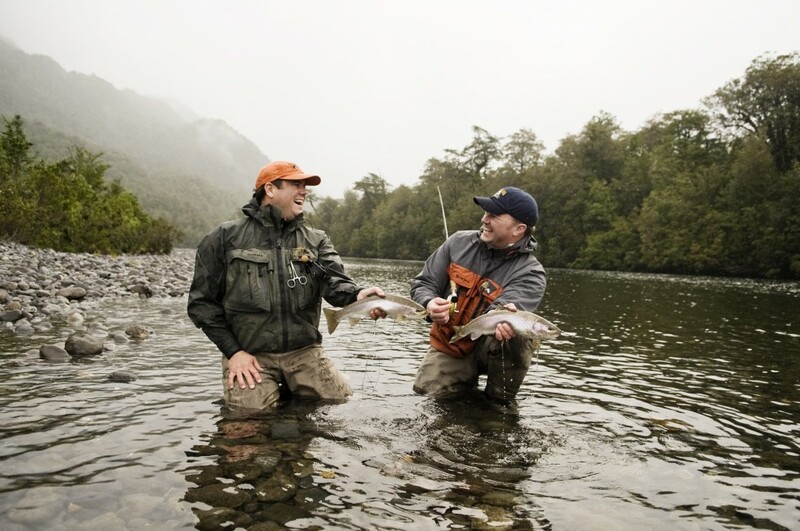 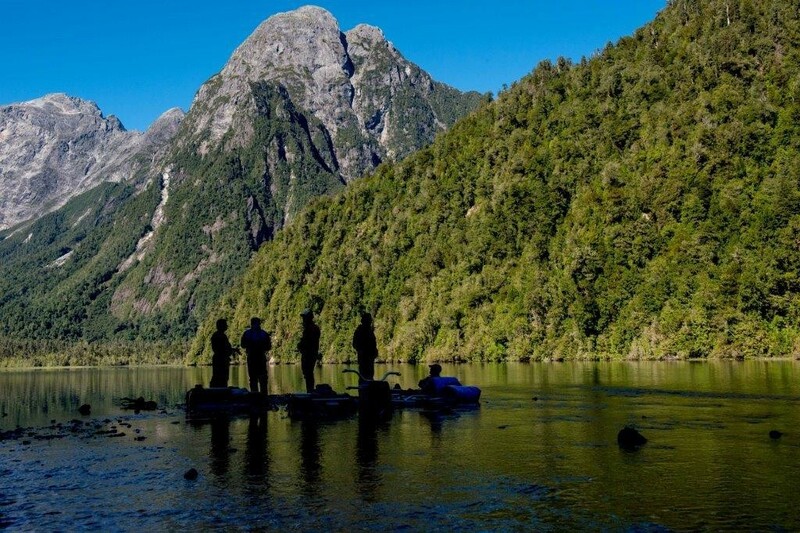 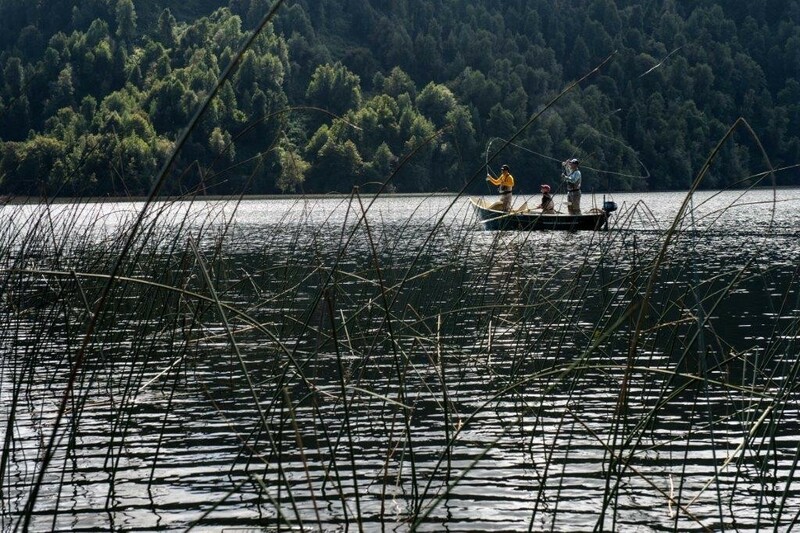 I have flown and sailed many hours and scouted many lands looking for the best fishing spots, only to conclude that the Chilean Patagonia is definitely one of the best and most wonderful places on the planet. 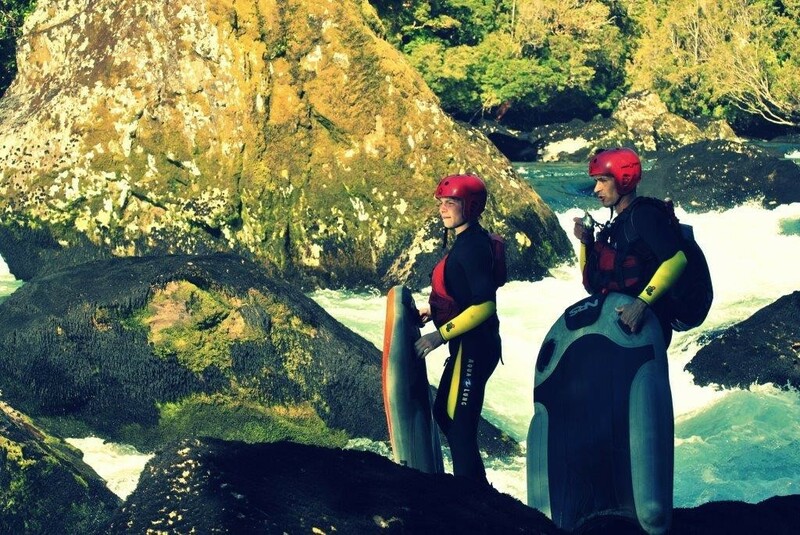 Started the New Year in the best way possible. 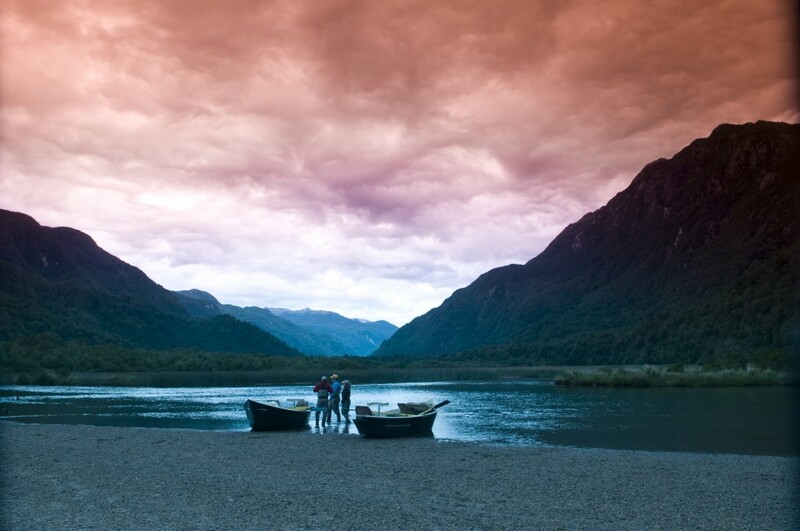 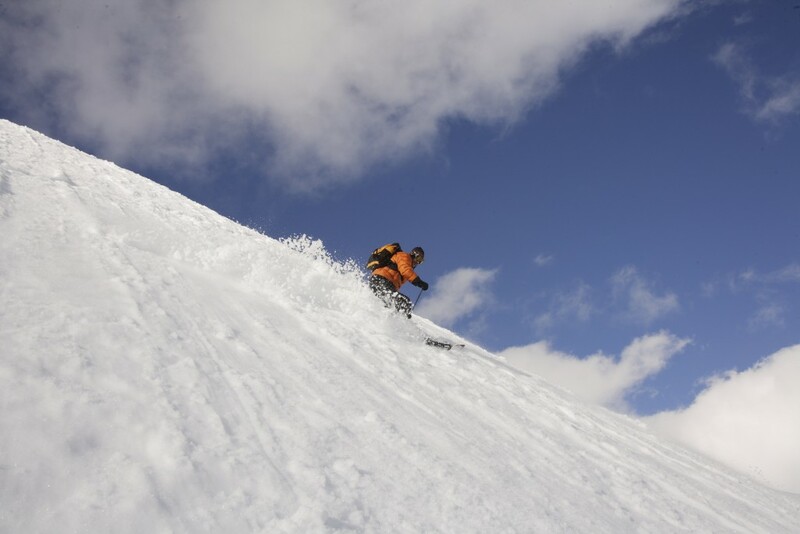 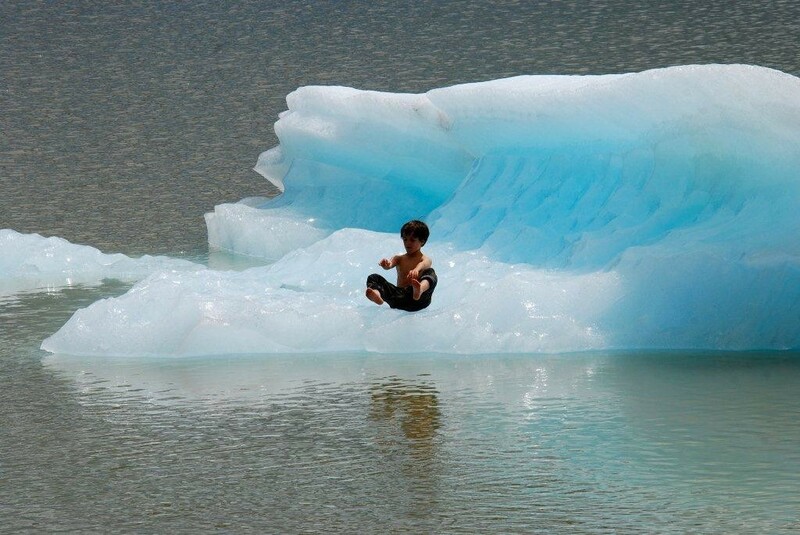 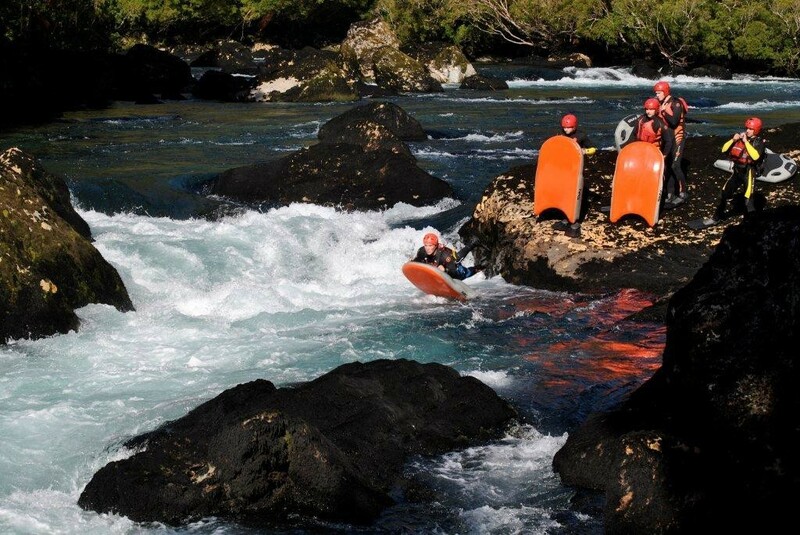 In the Patagonia. The Atmosphere is a fantastic ship and the ability to get to places very far have been magical.